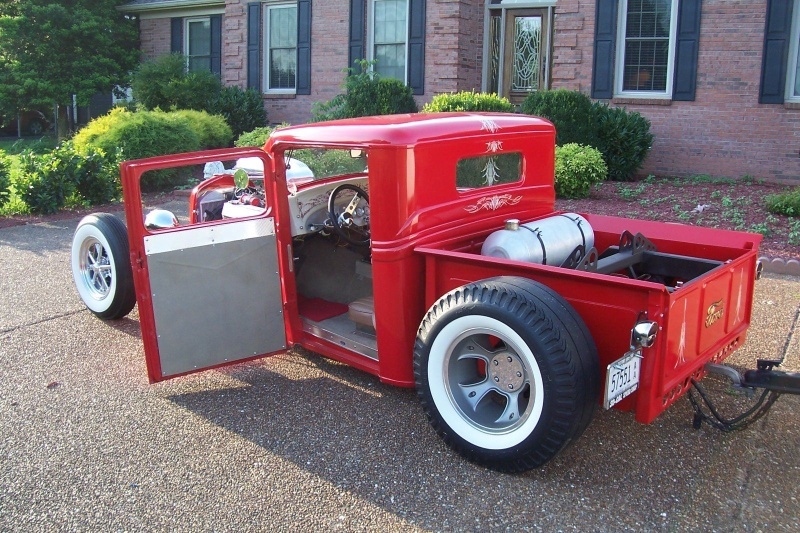 AWESOME CUSTOM. 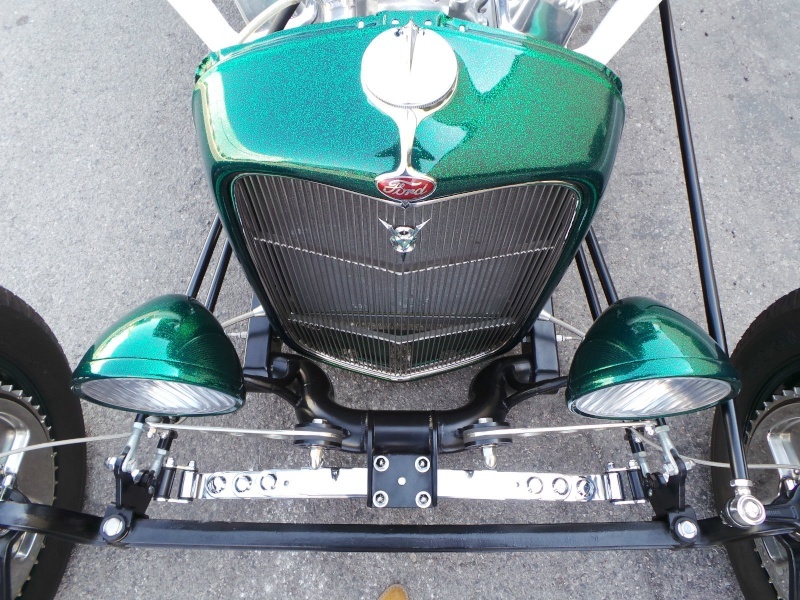 60'S TYPE BIG FLAKE GREEN METALLIC PAINT. 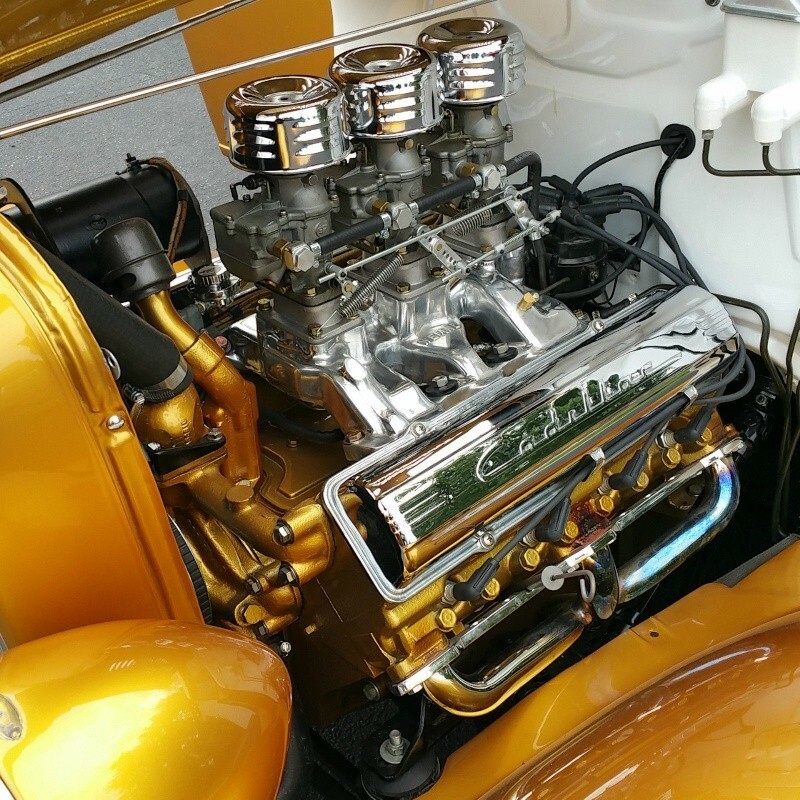 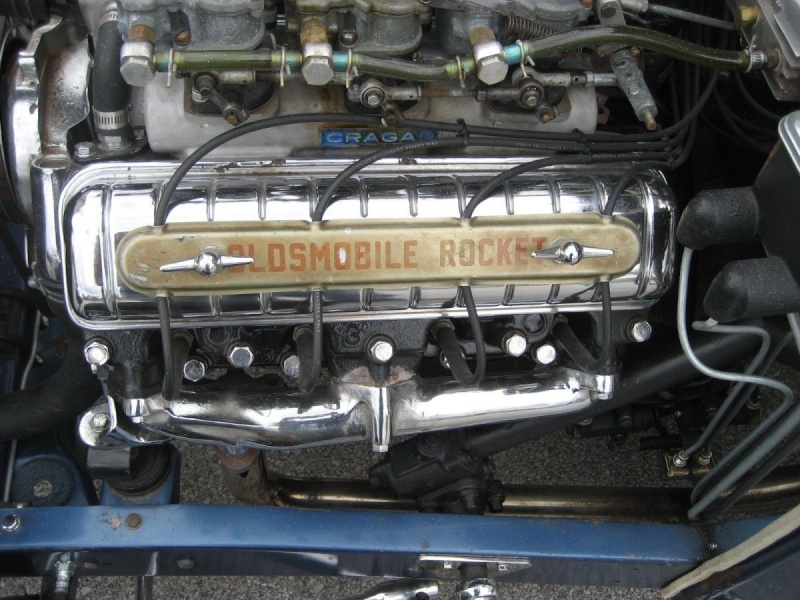 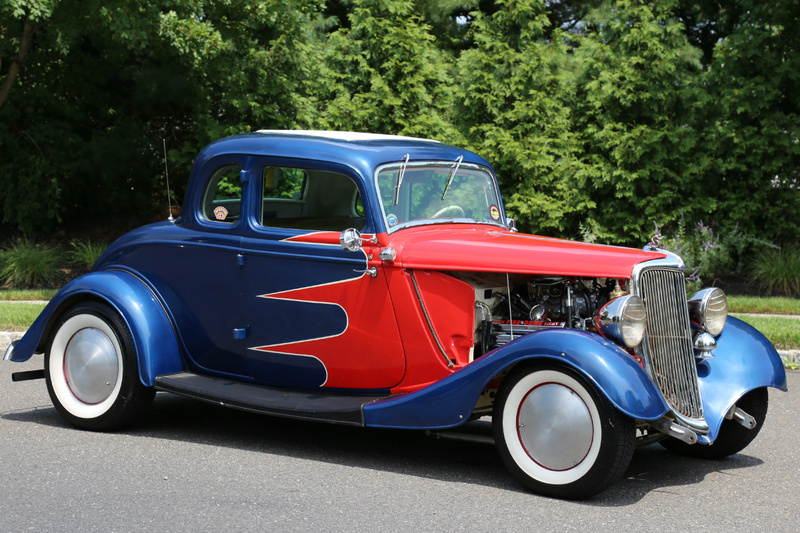 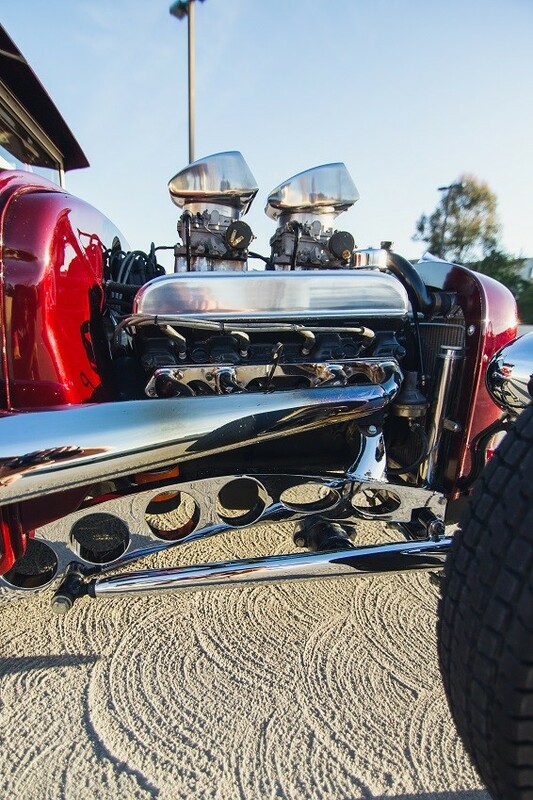 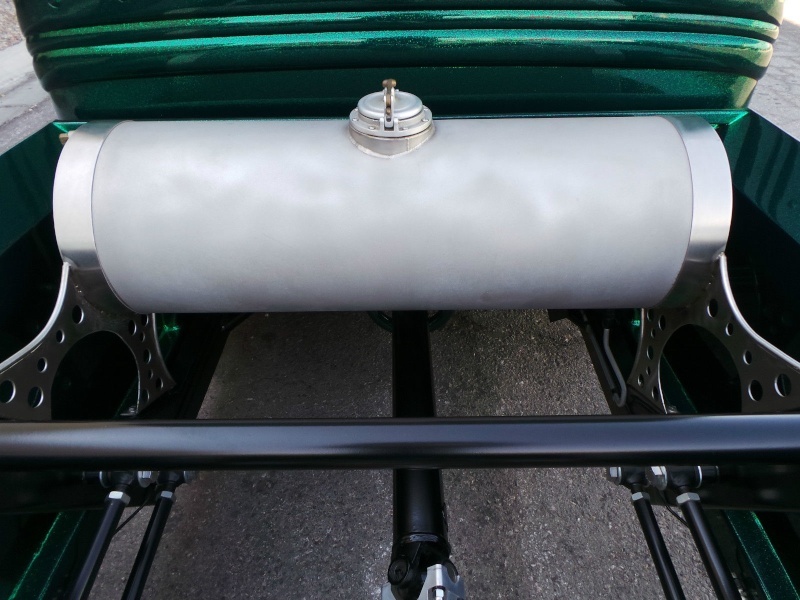 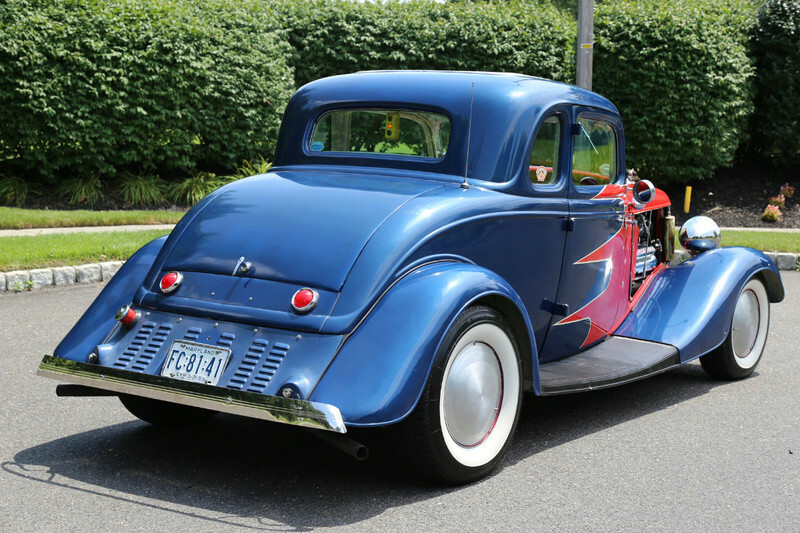 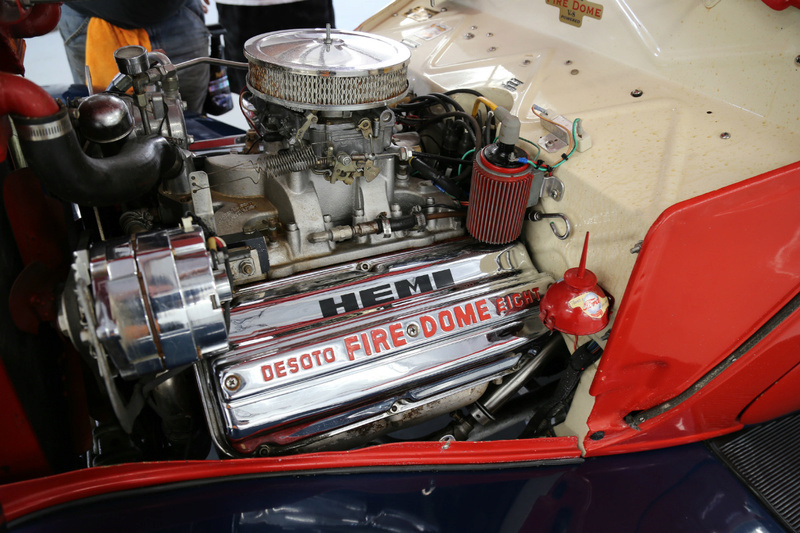 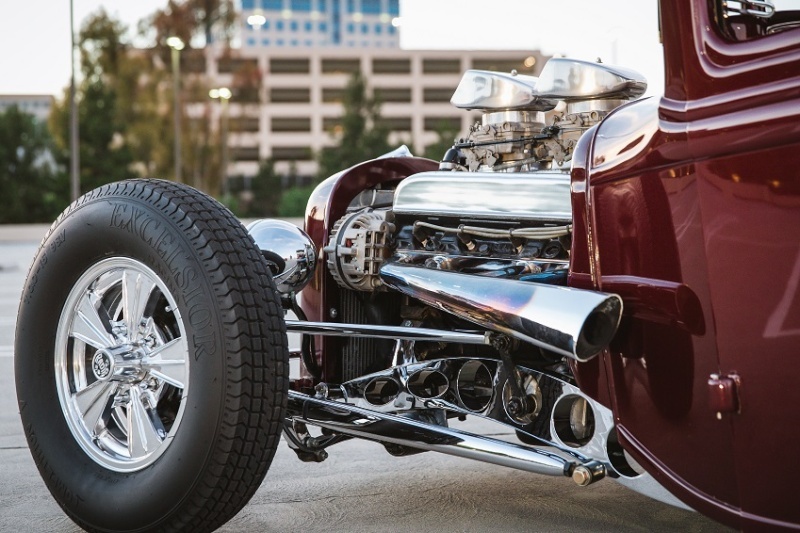 THIS HOTROD'S MOTOR AND EXHAUST SOUNDS INCREDIBLE. 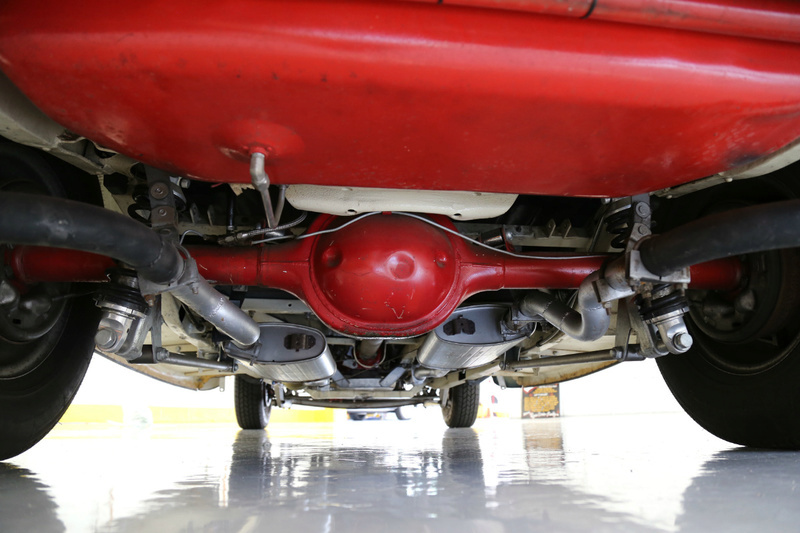 THE PHOTO'S WITH THE WHITE EXHAUST IS HOW IT IS NOW. 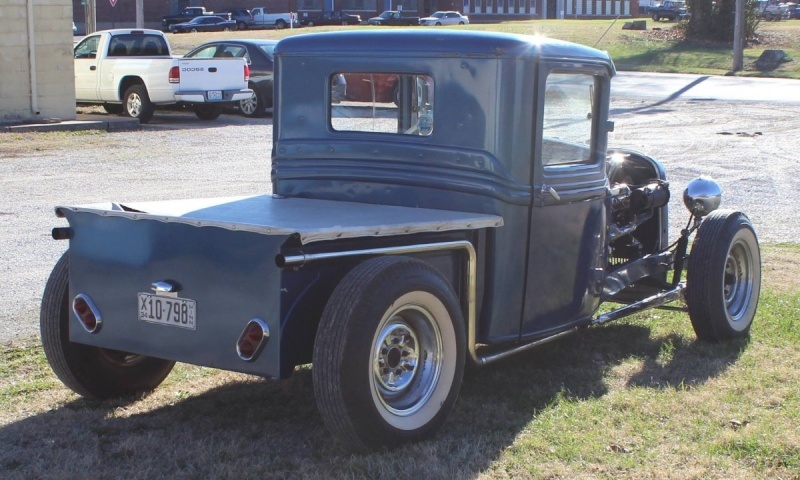 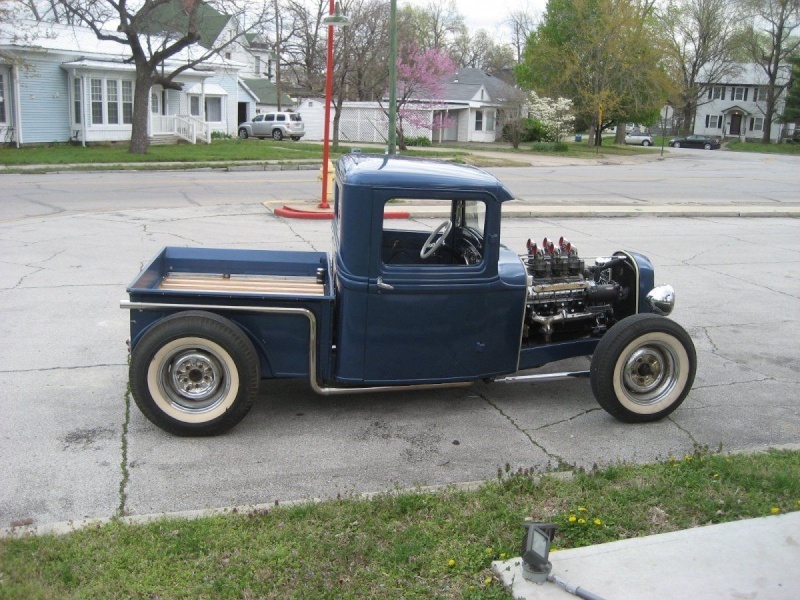 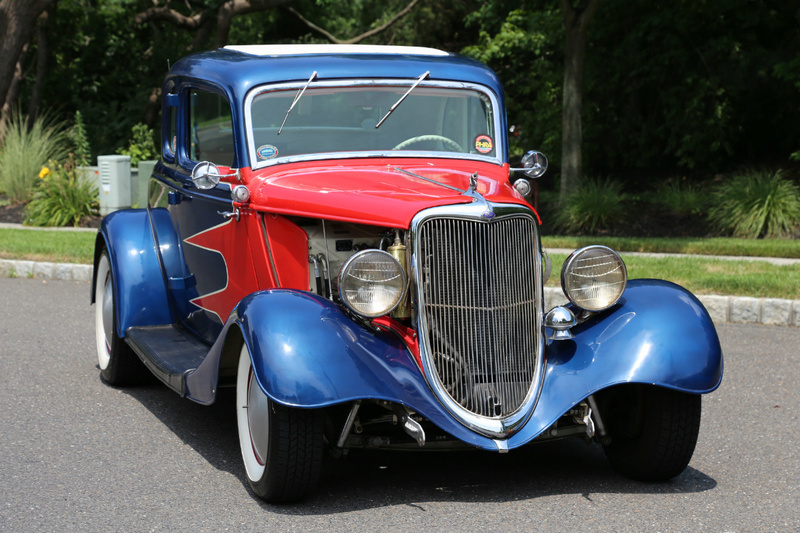 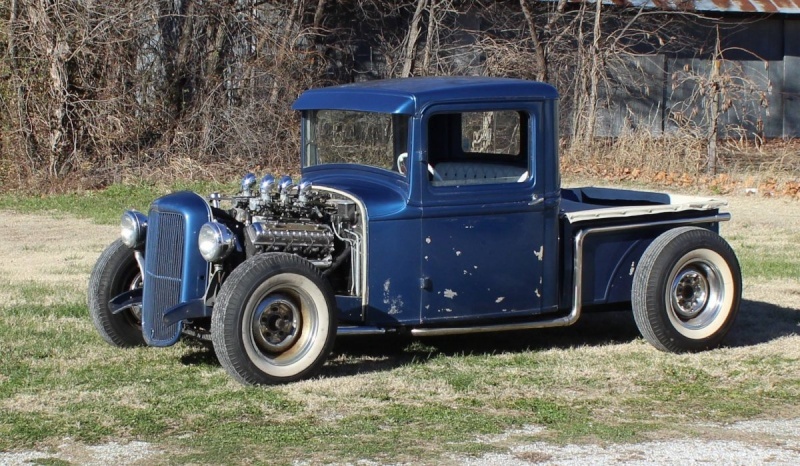 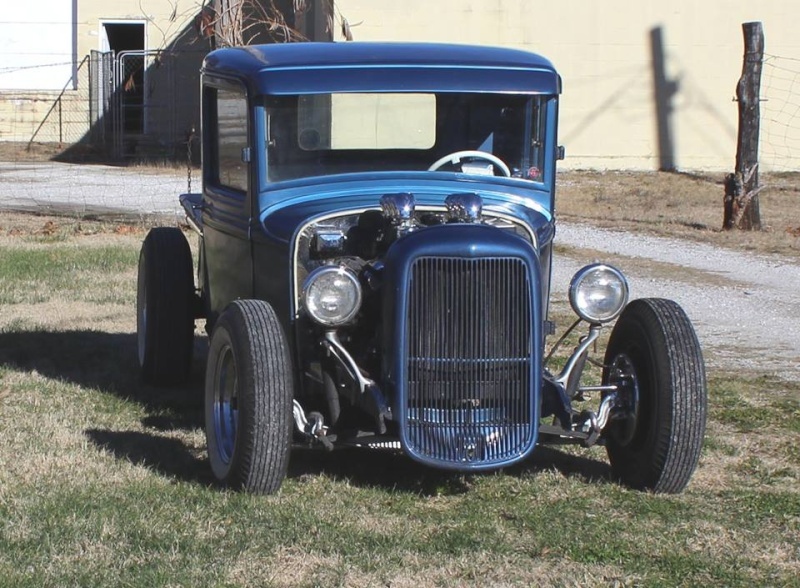 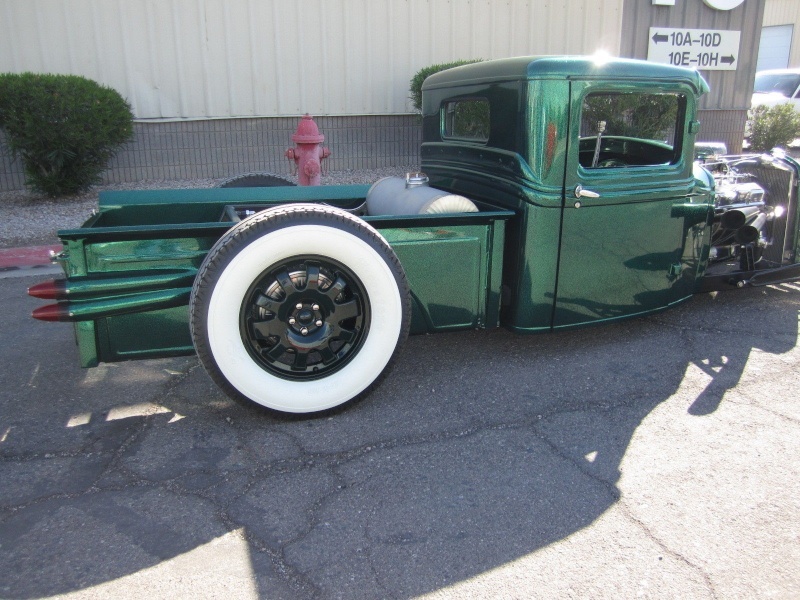 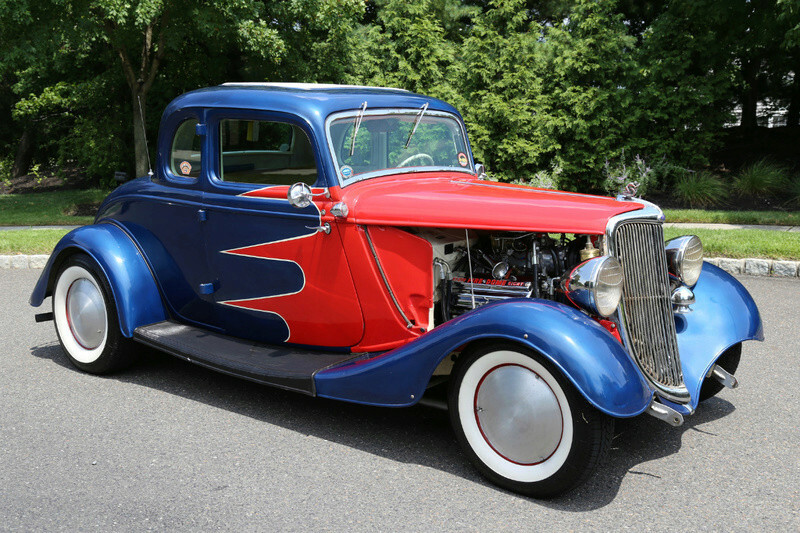 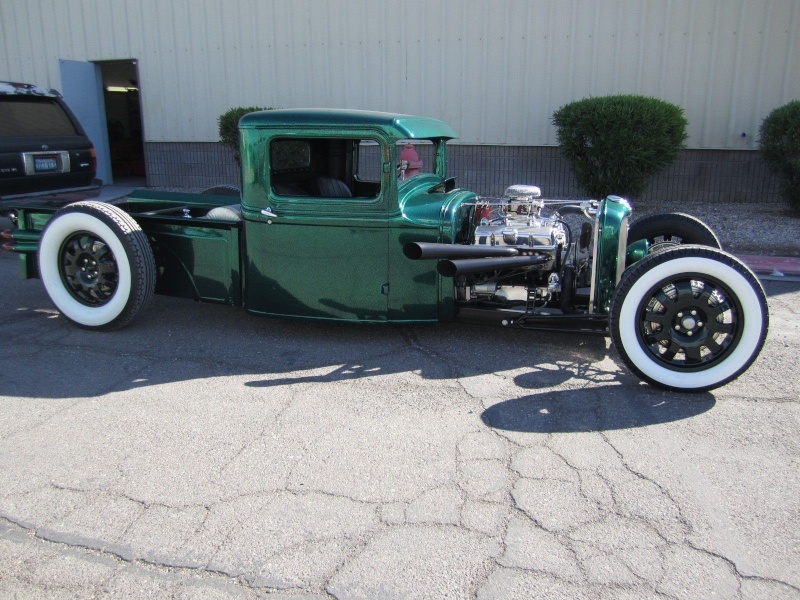 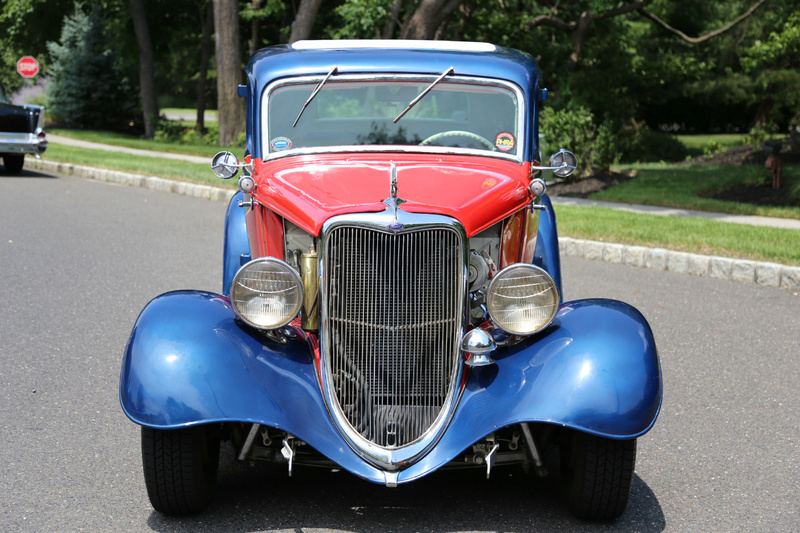 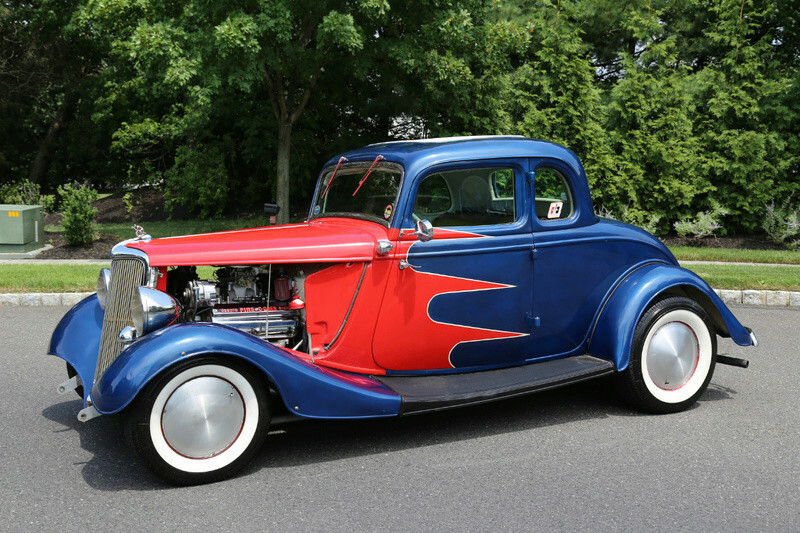 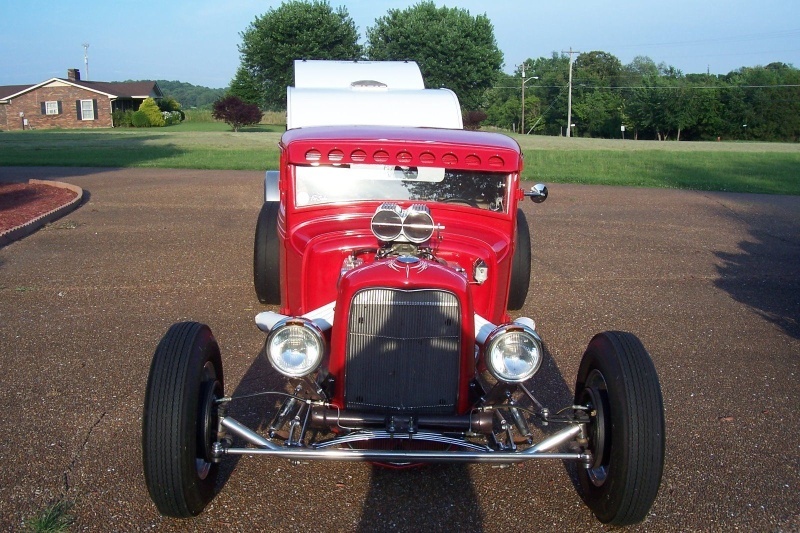 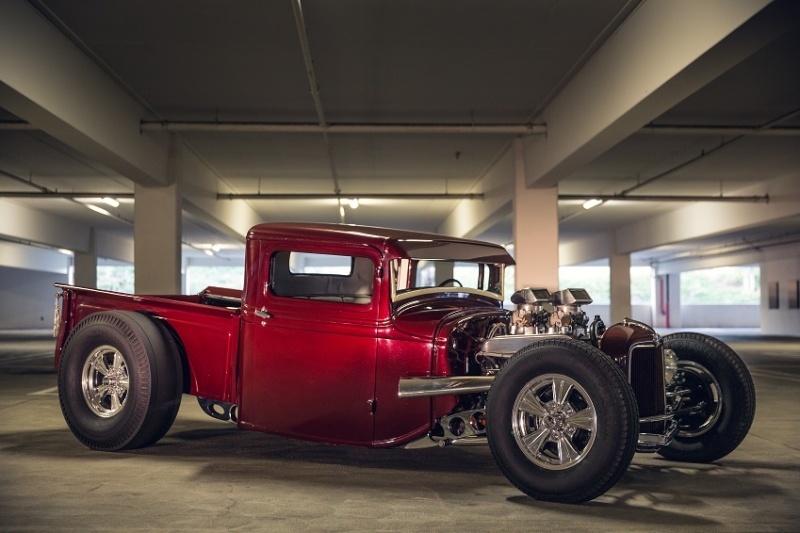 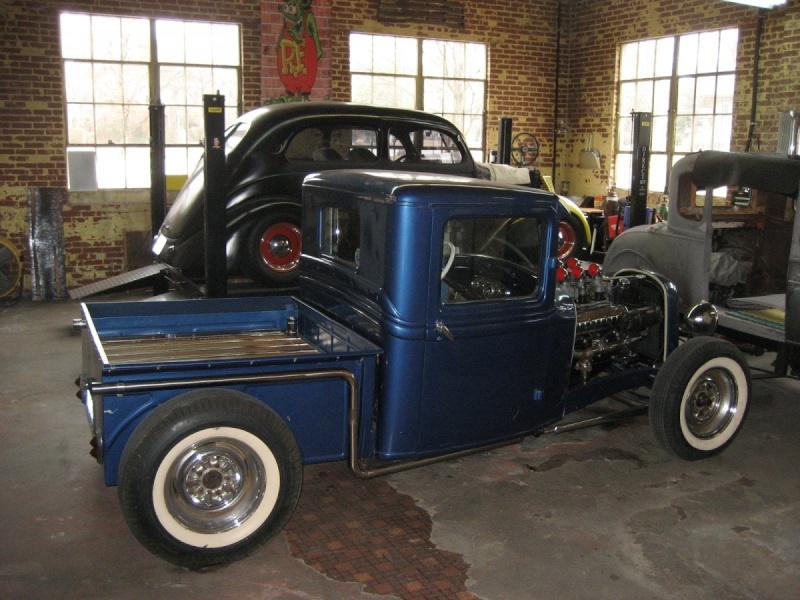 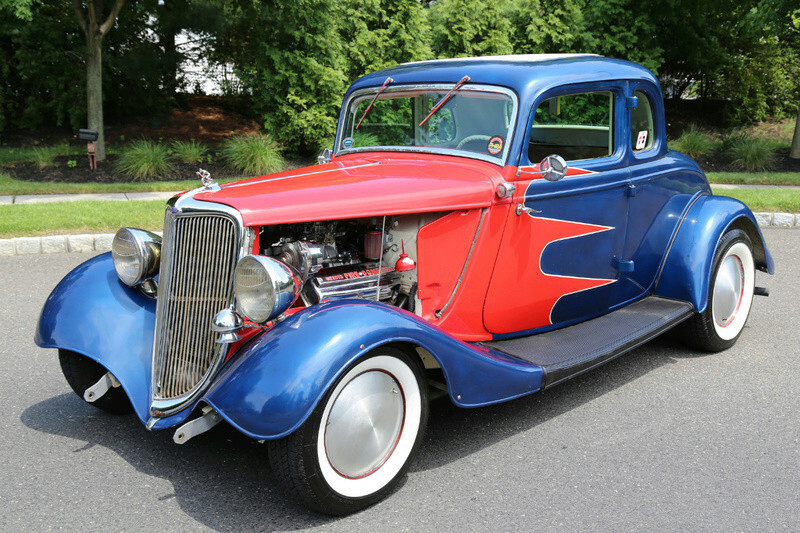 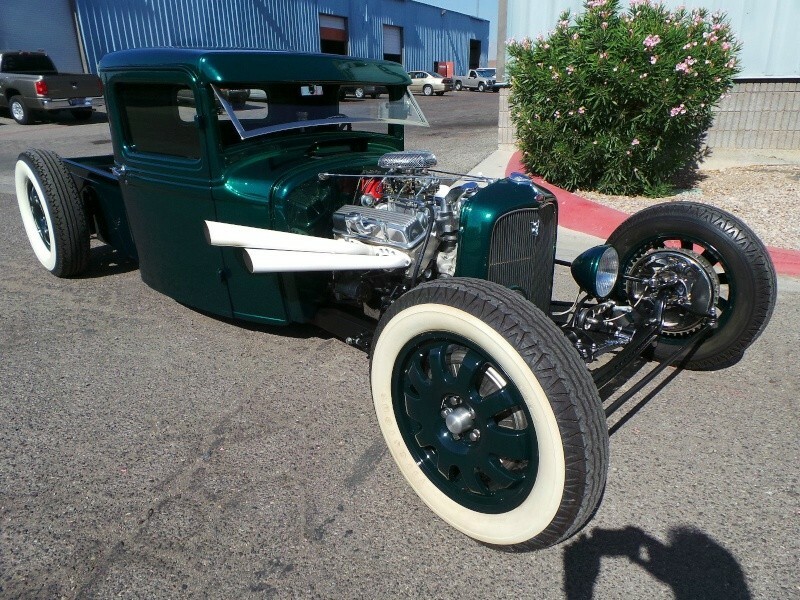 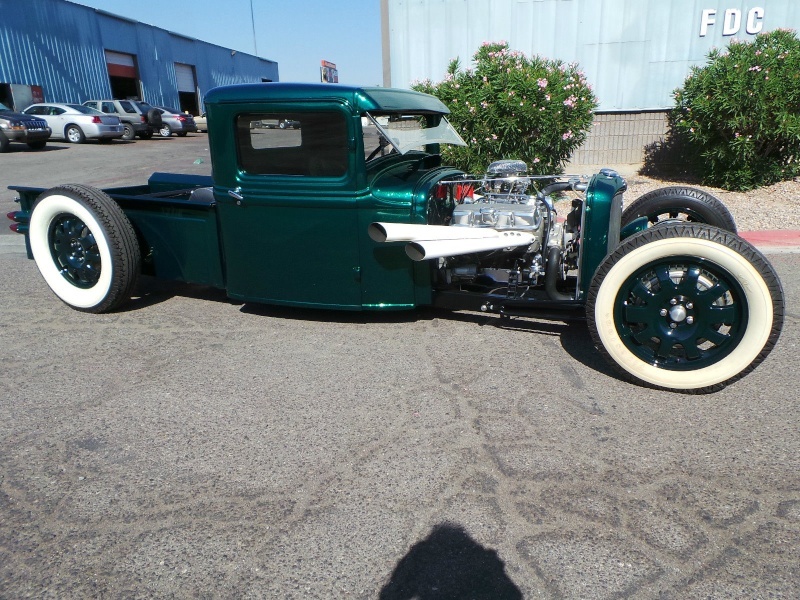 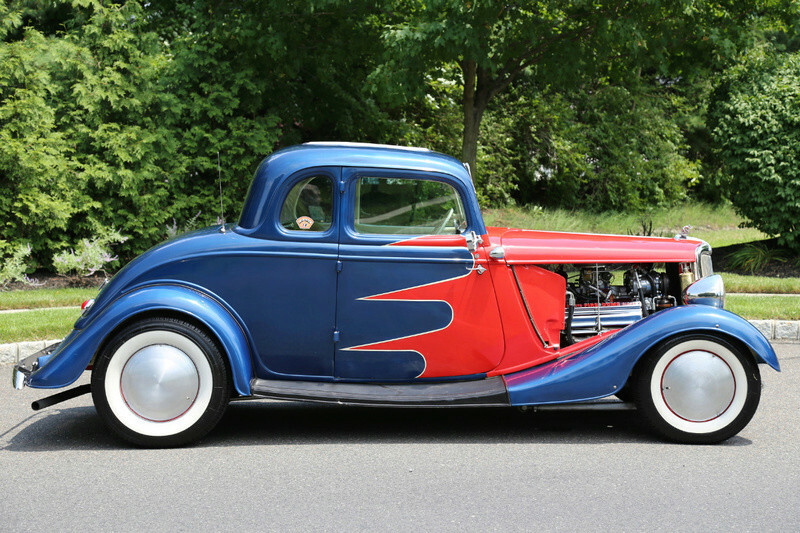 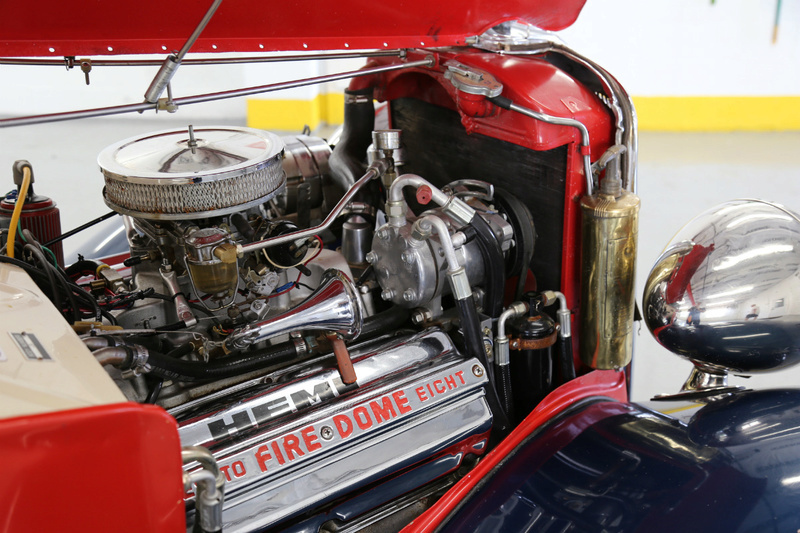 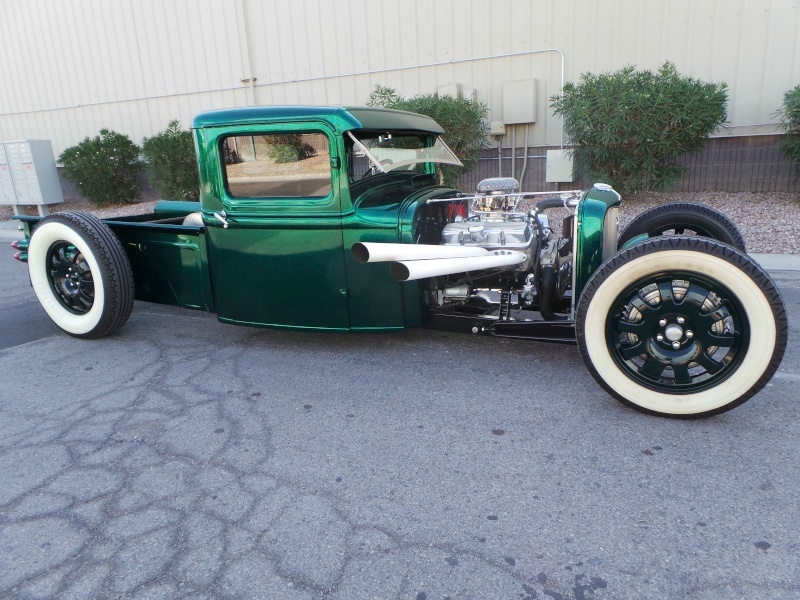 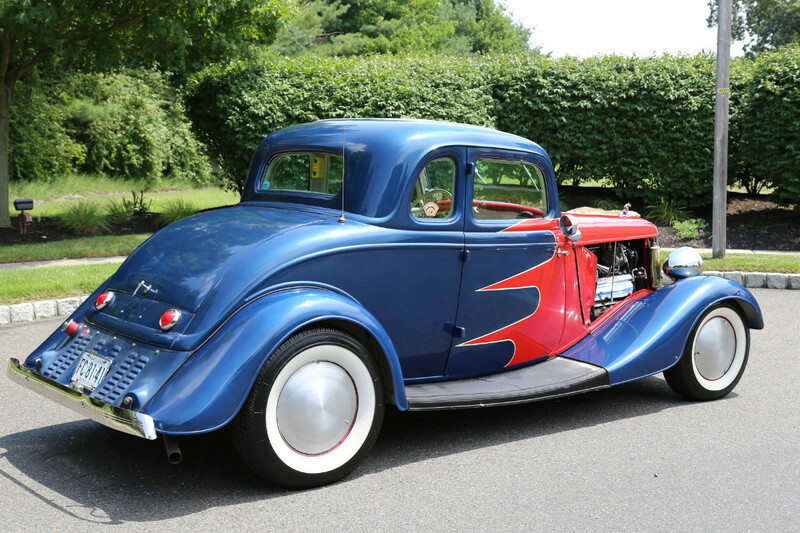 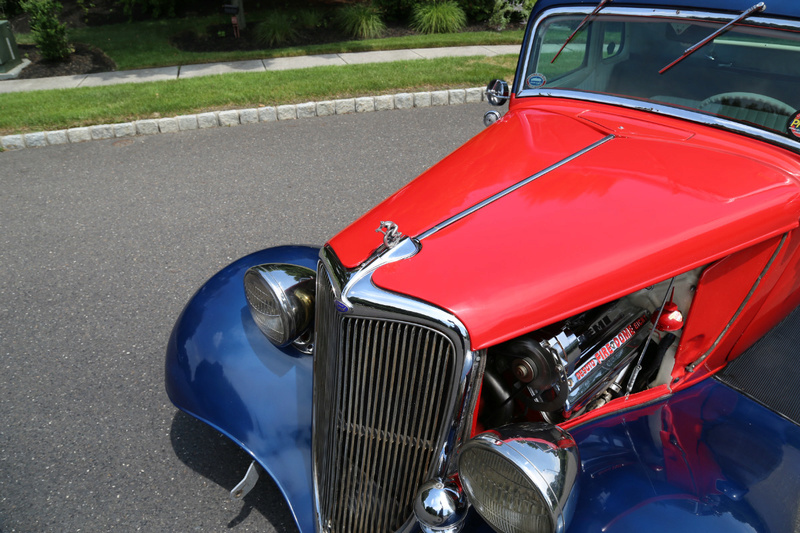 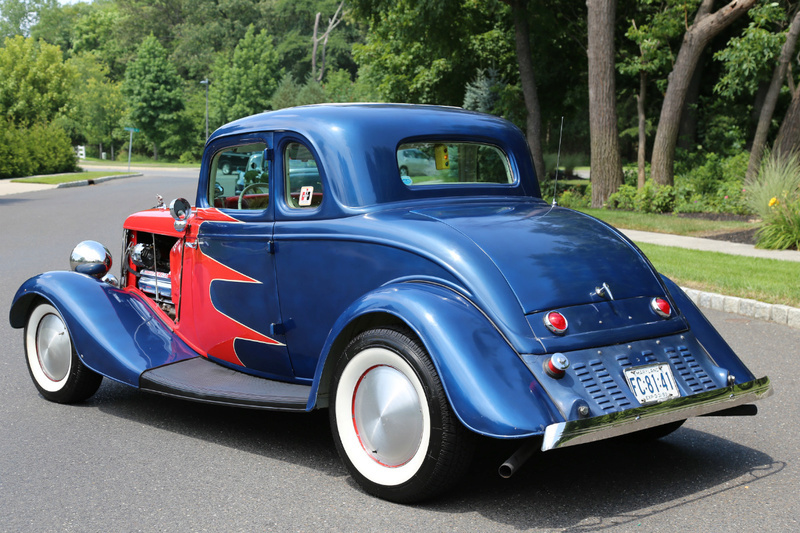 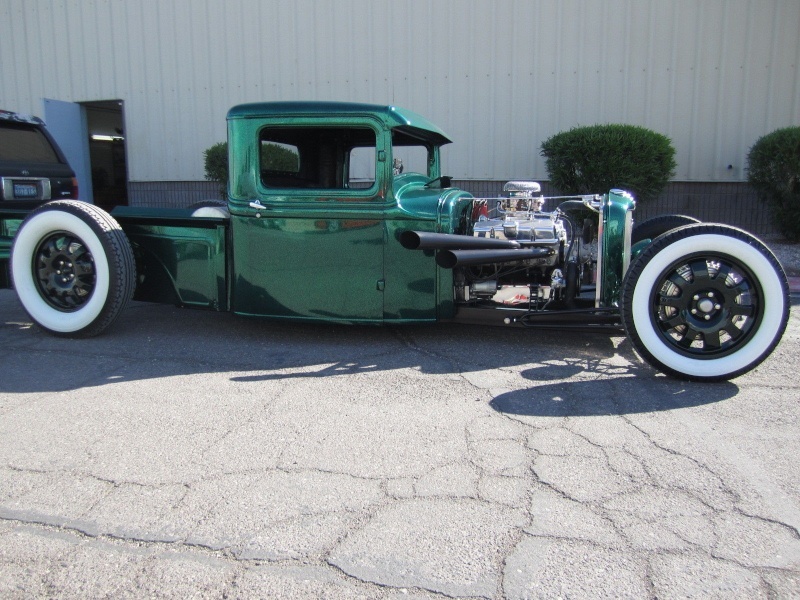 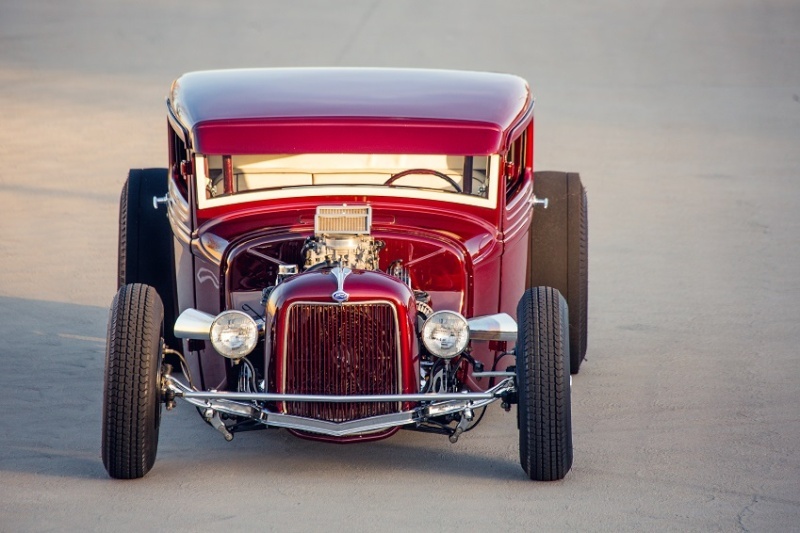 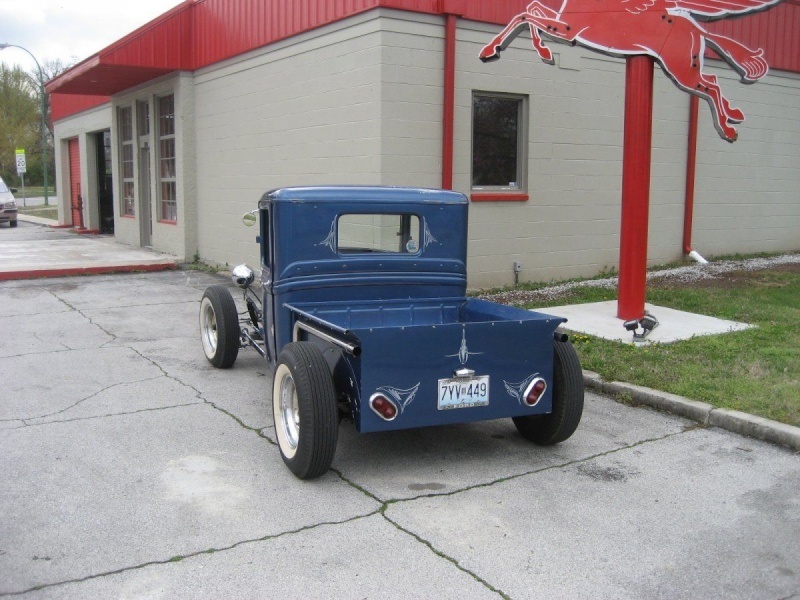 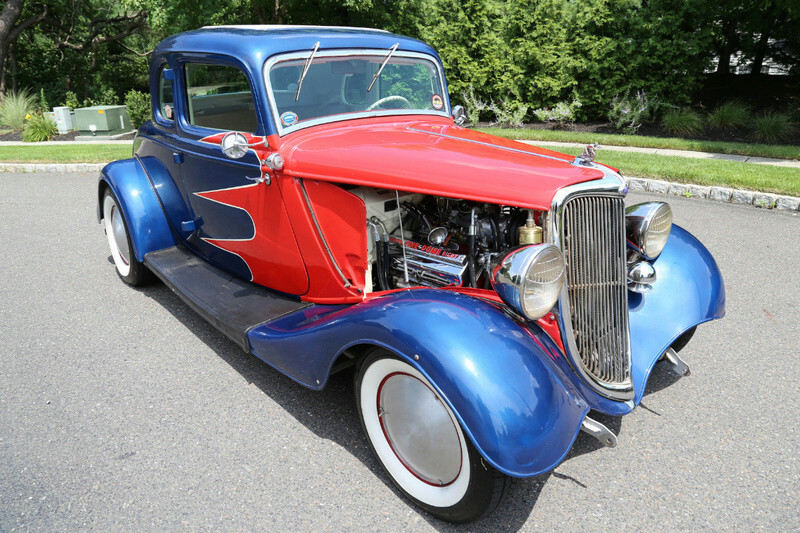 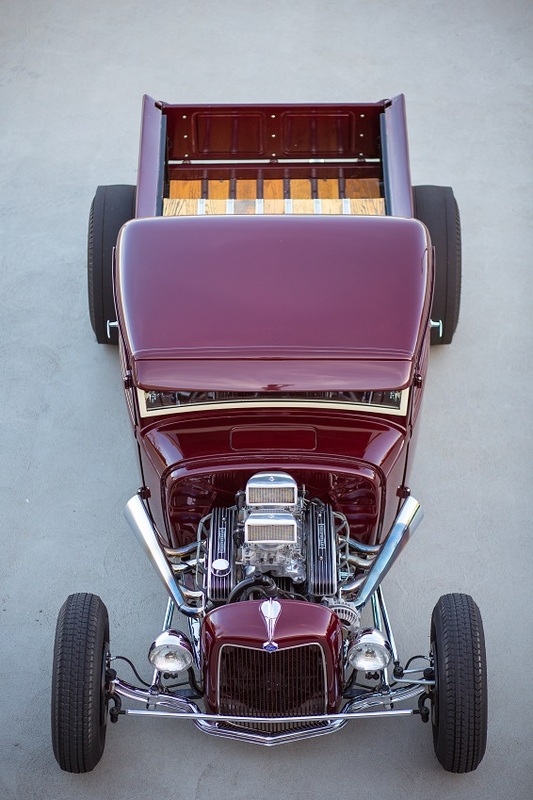 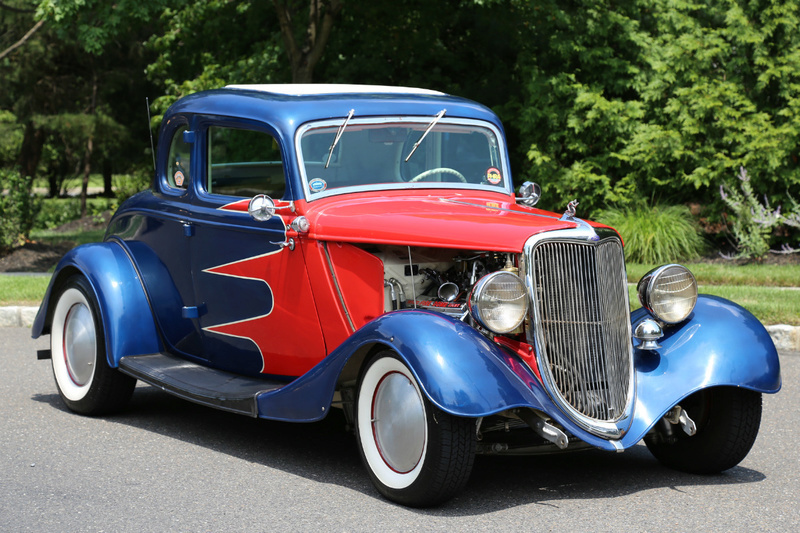 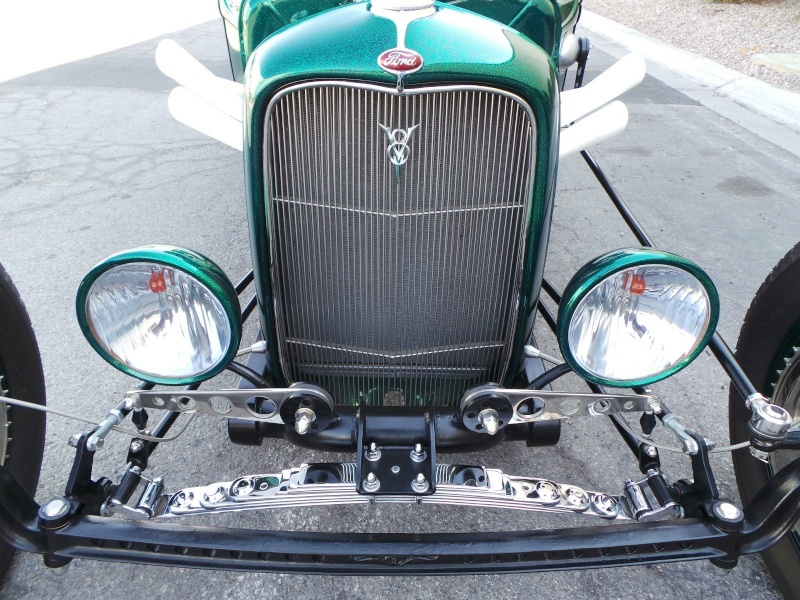 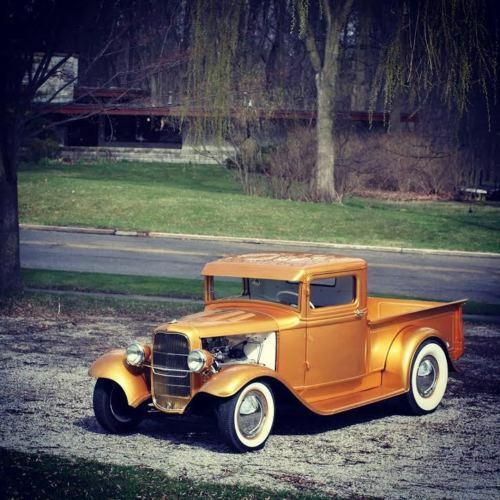 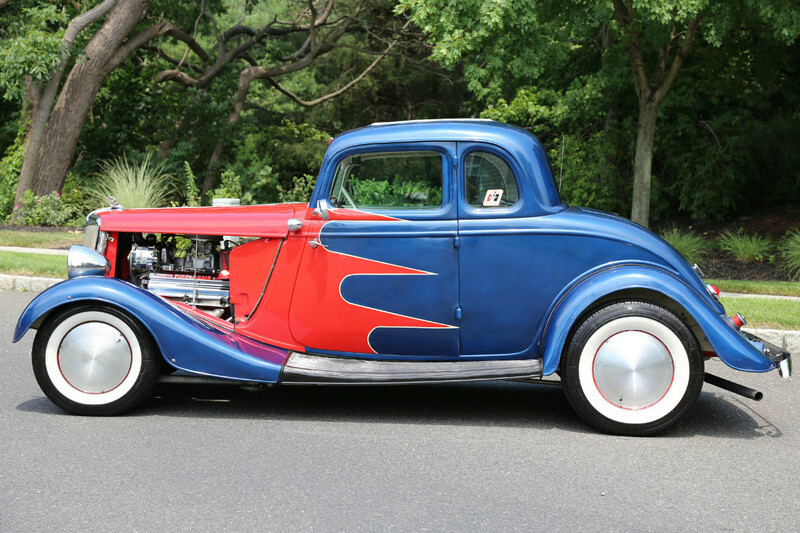 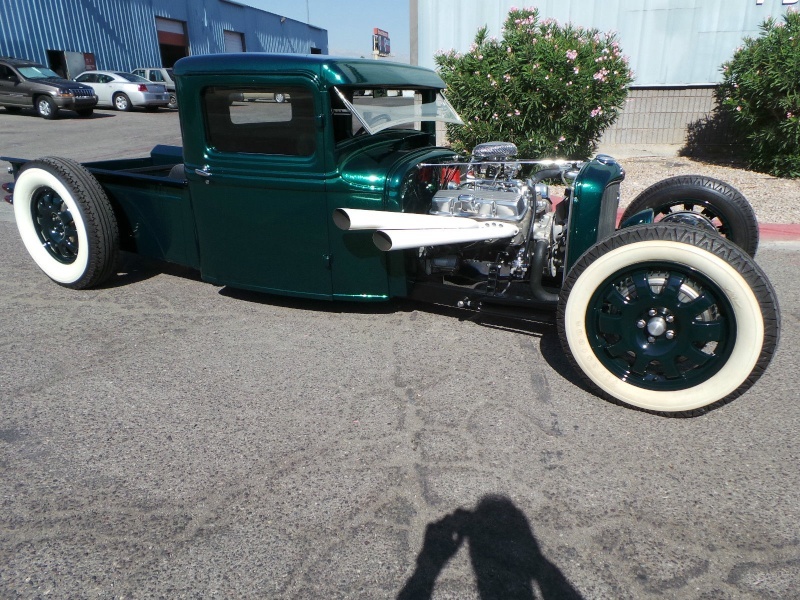 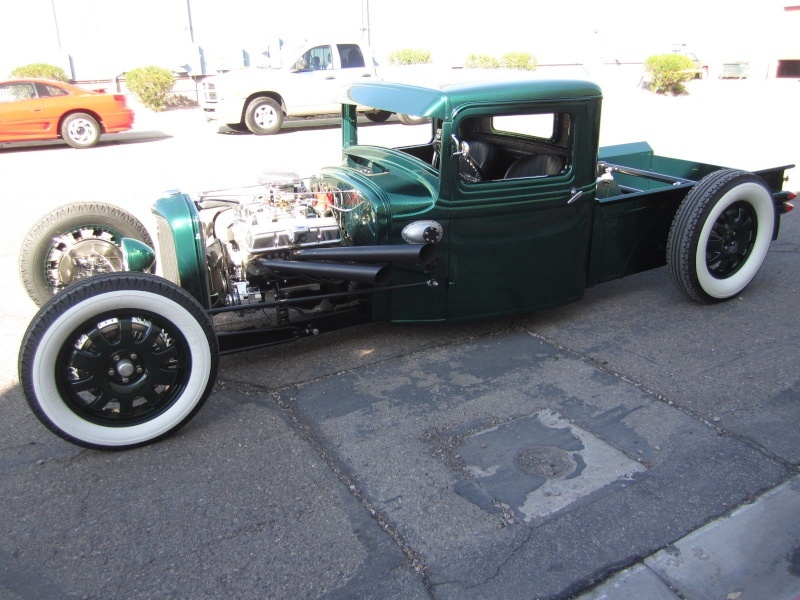 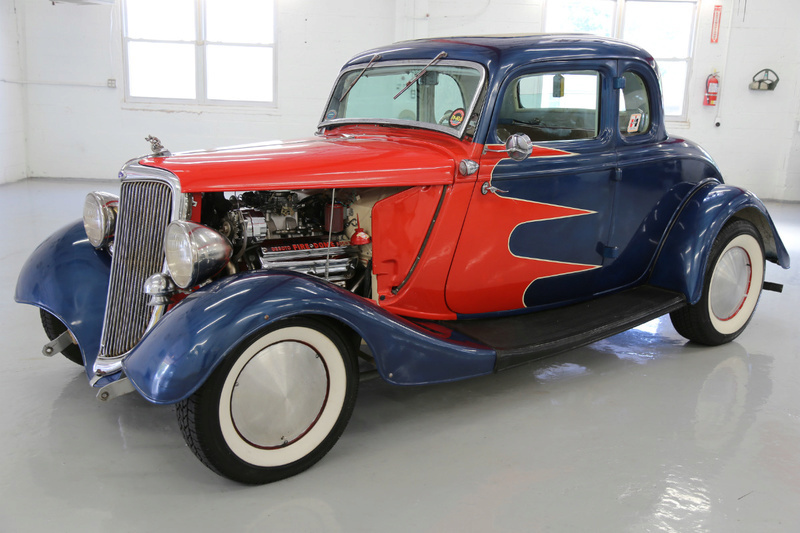 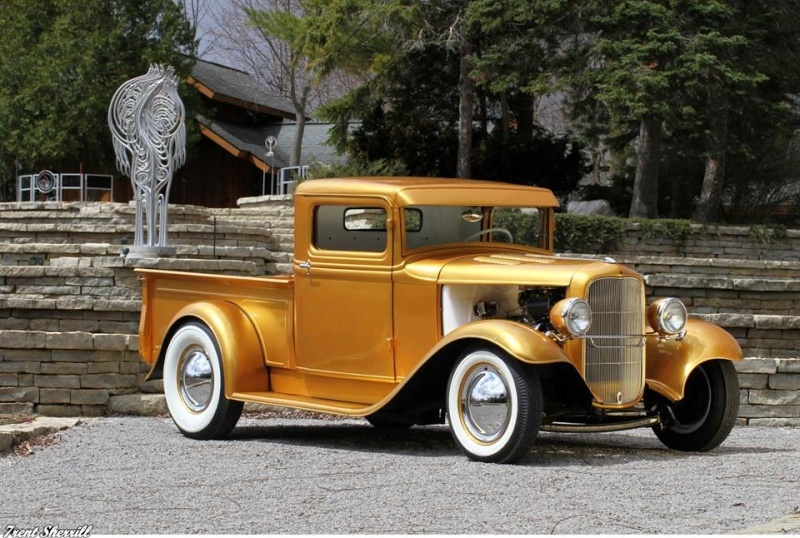 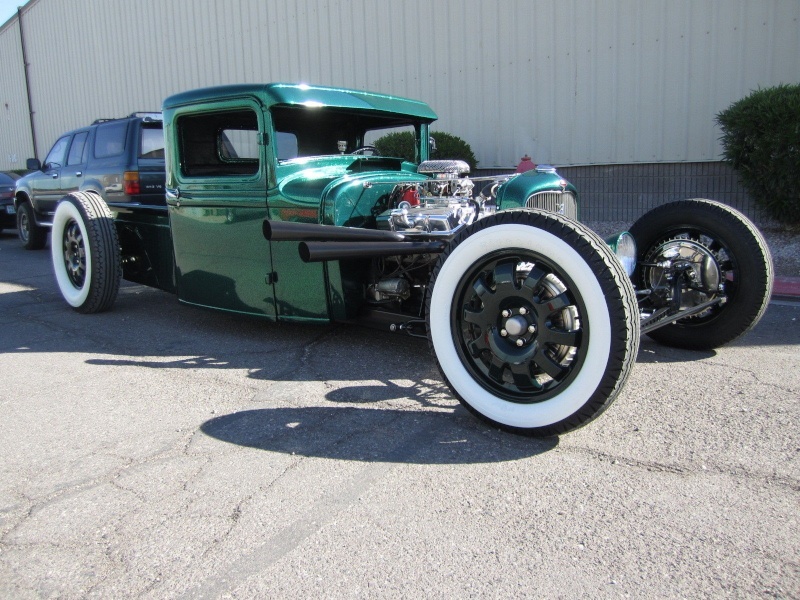 This 1933 Ford truck is a traditional hot rodders dream. 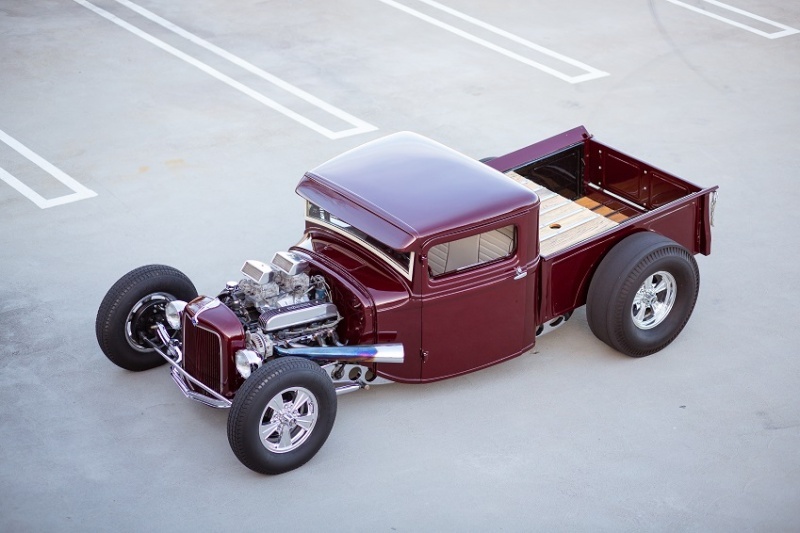 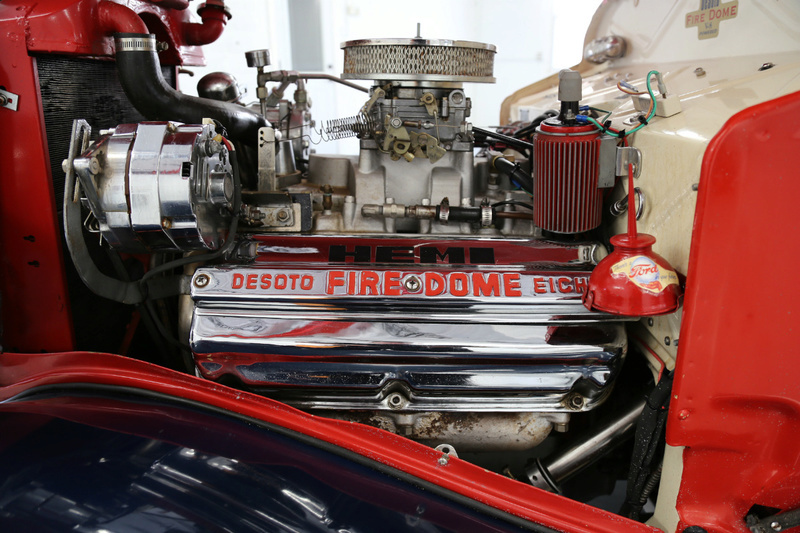 Known as the Caddyhauler, this truck was built with all of the finest go-fast parts from the golden era of hot rodding. 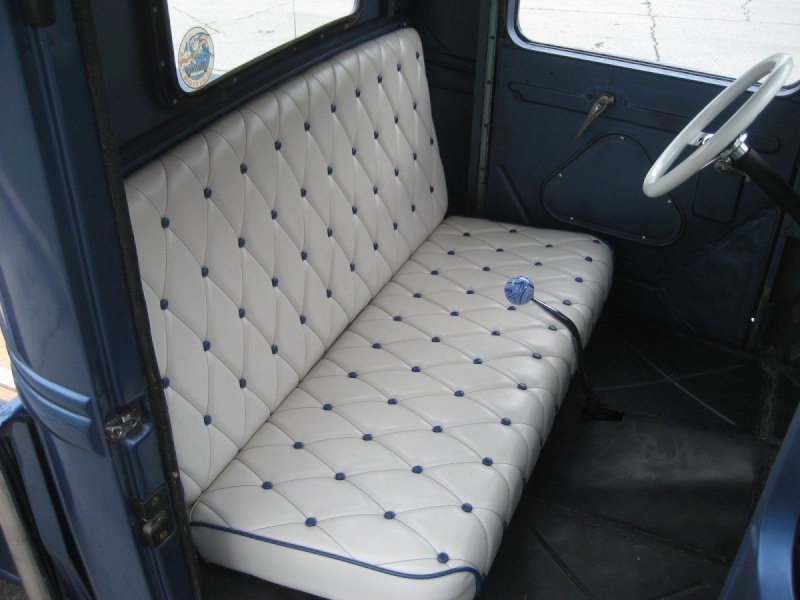 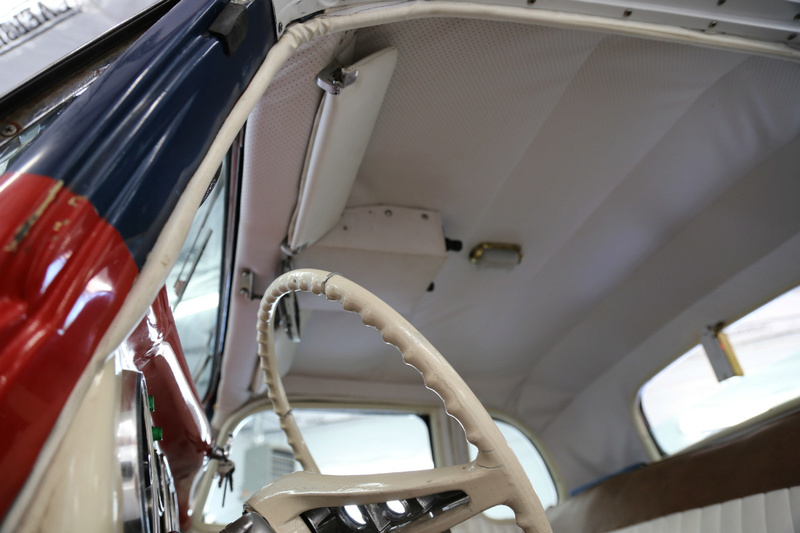 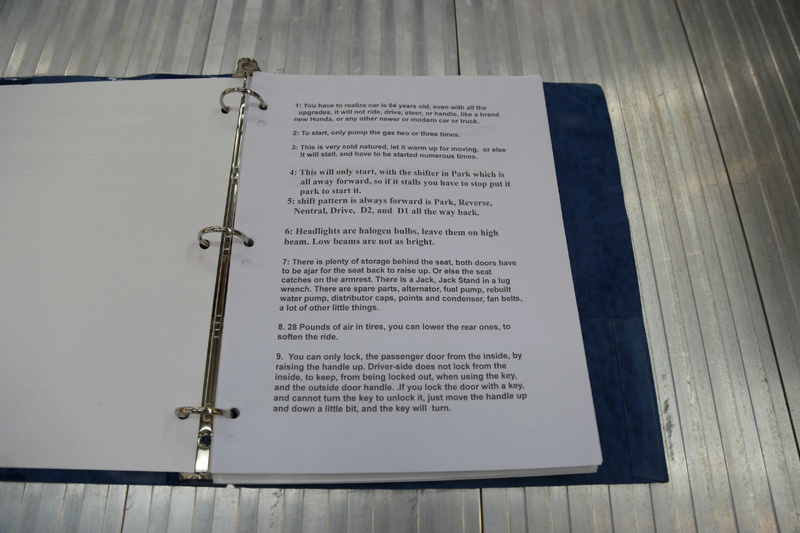 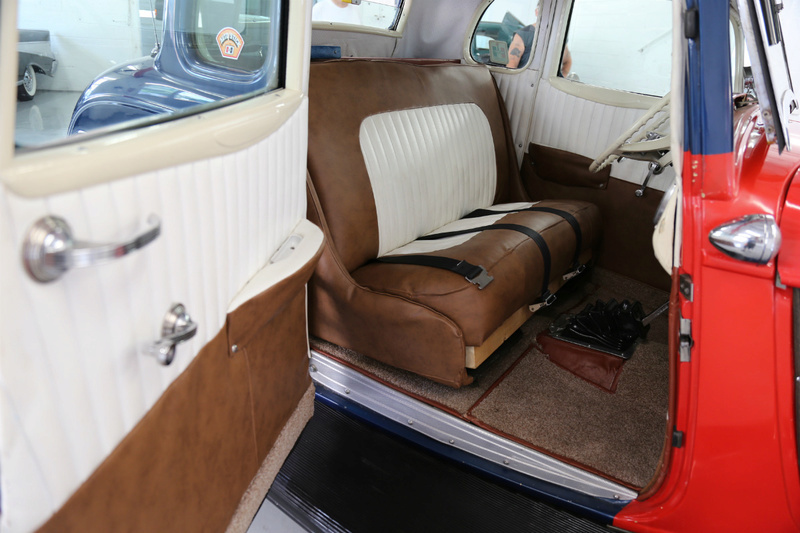 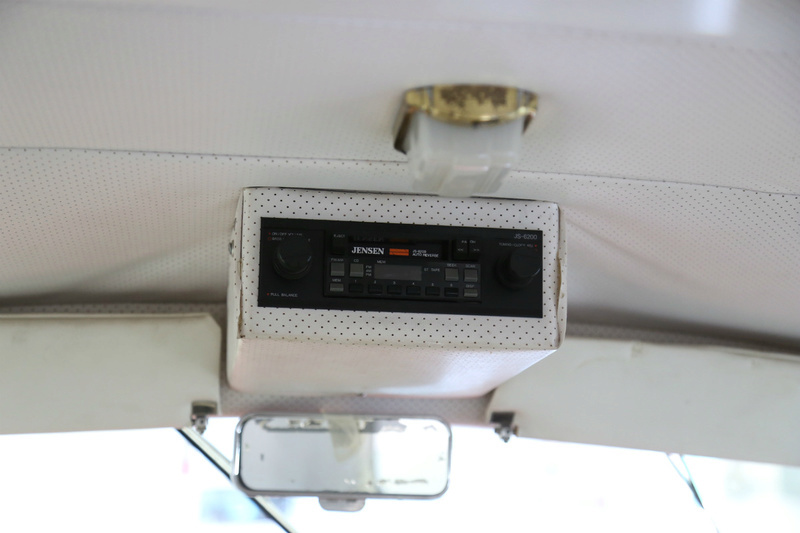 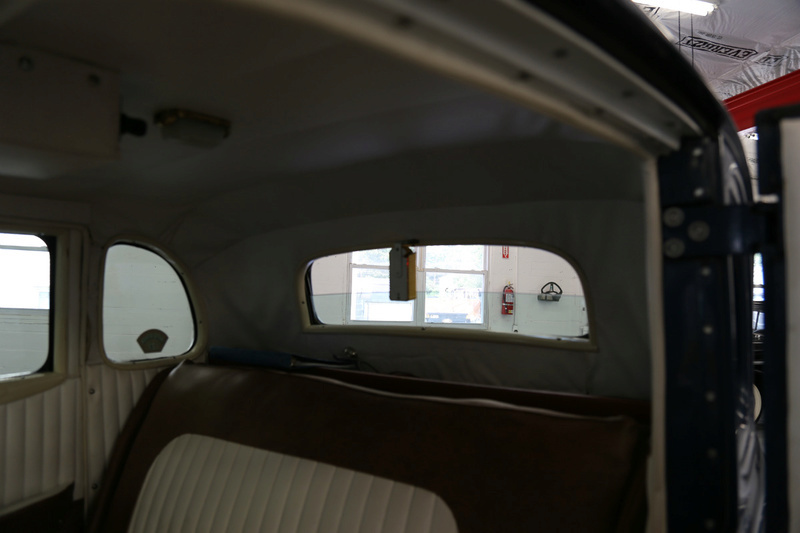 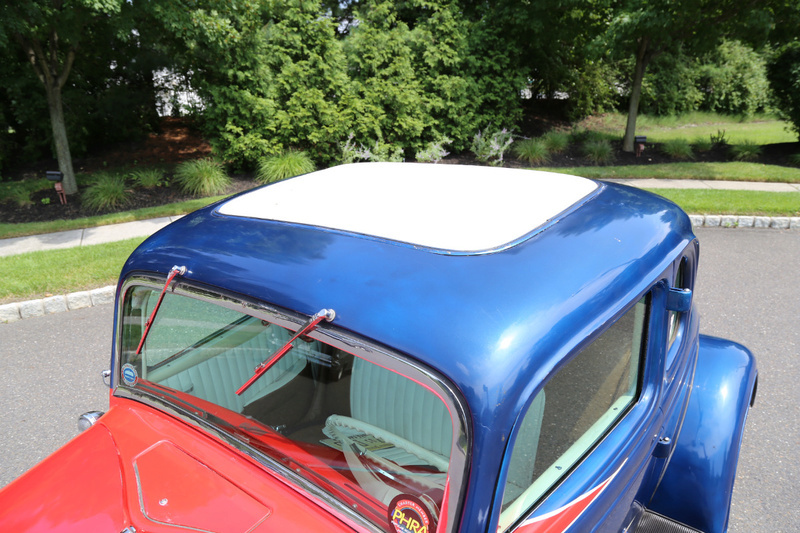 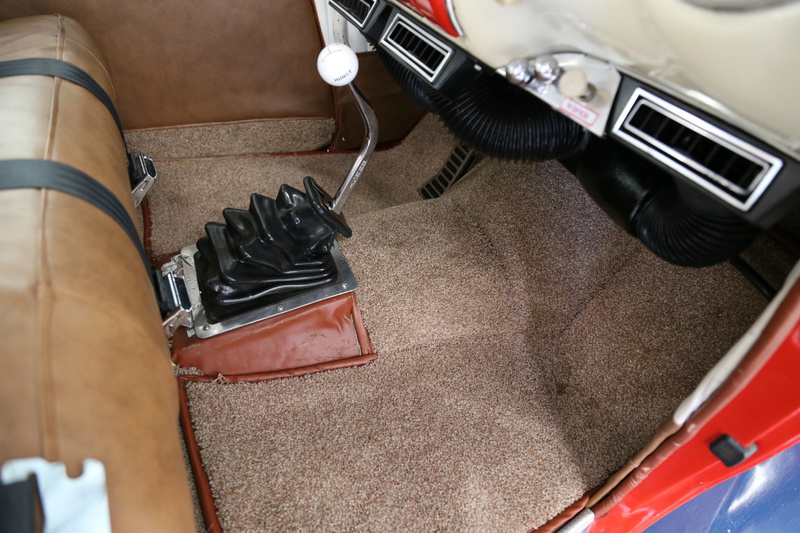 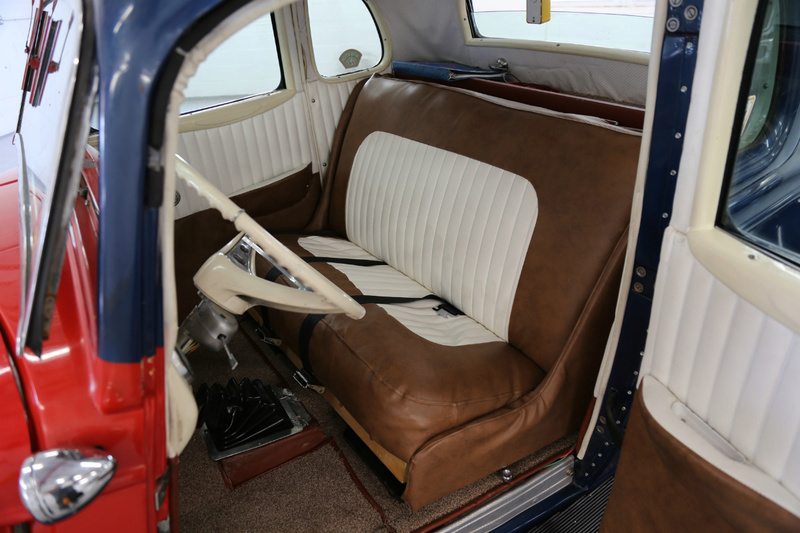 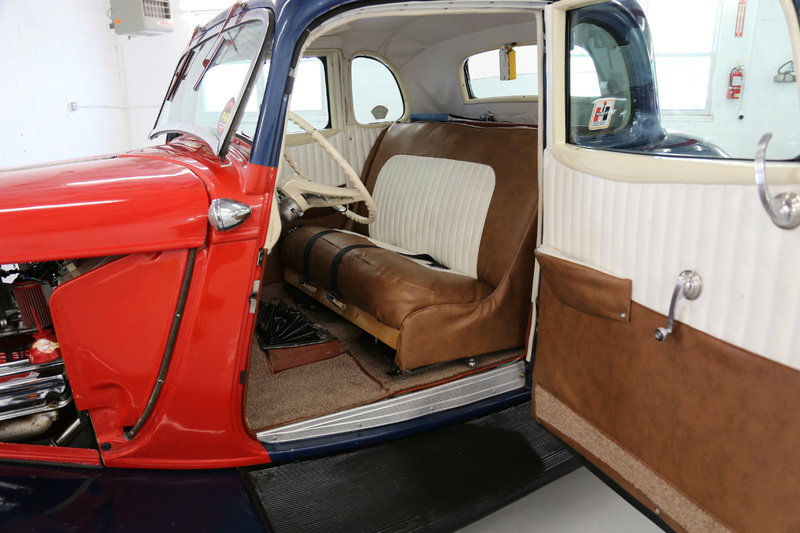 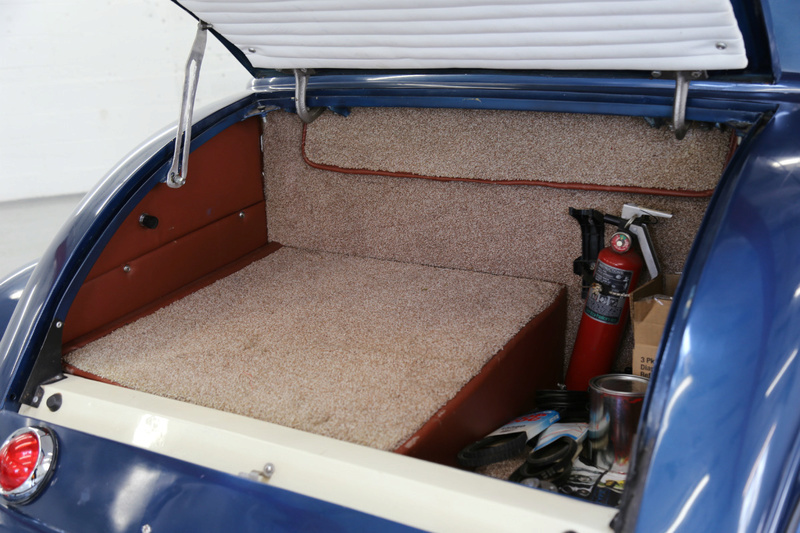 It is built in the attention-grabbing style of a late 1950’s indoor show car. 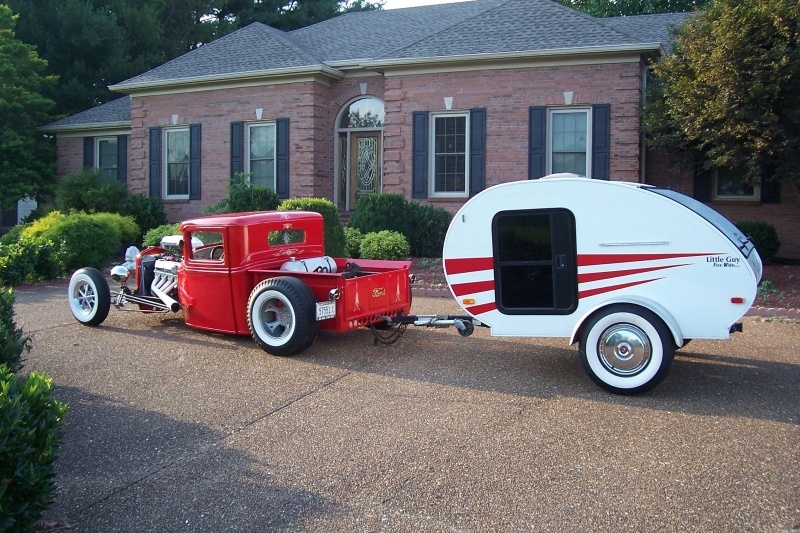 Just because it looks like a show car doesn’t mean it is a trailer queen. 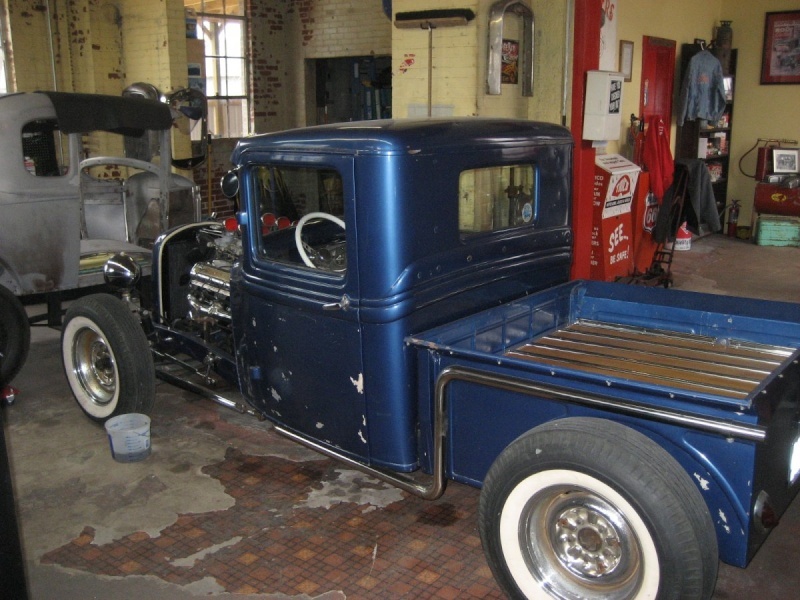 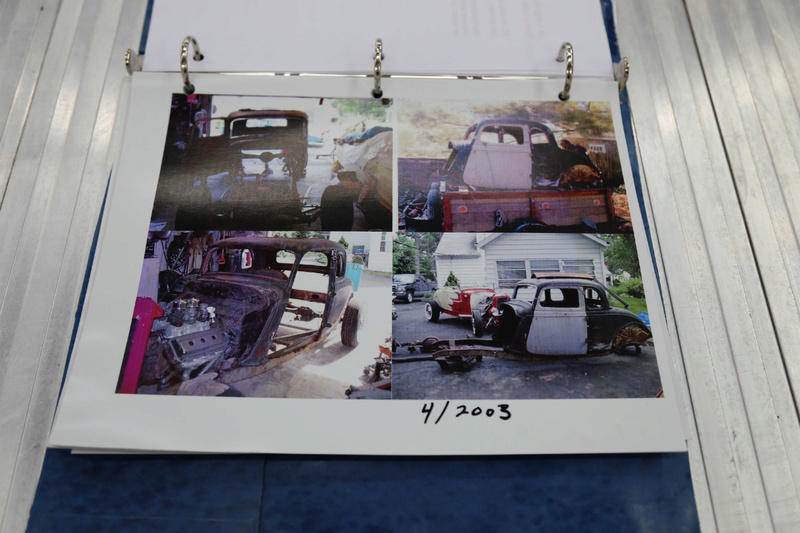 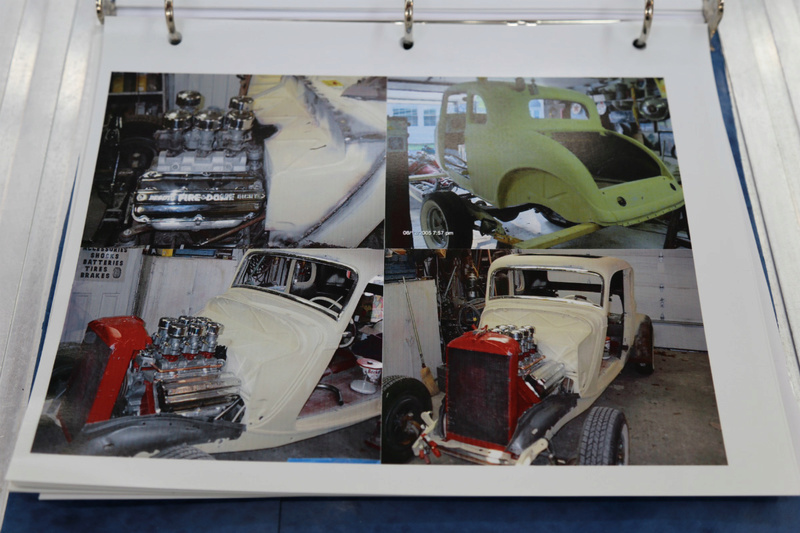 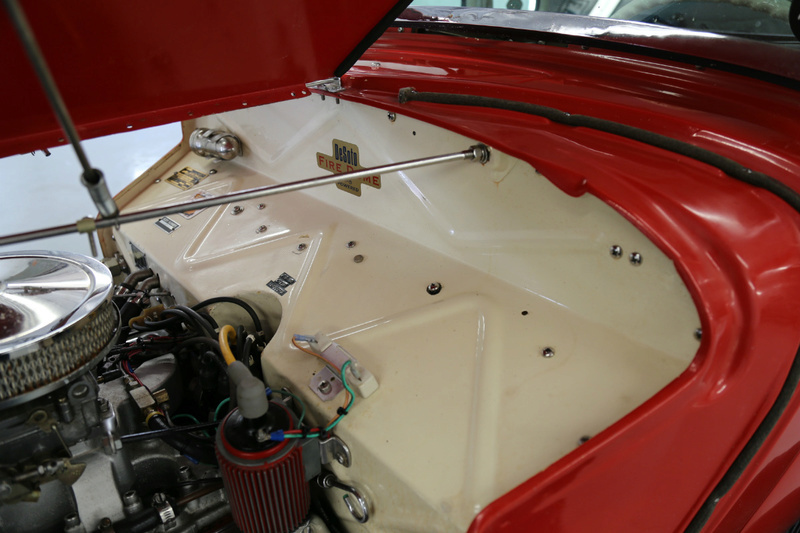 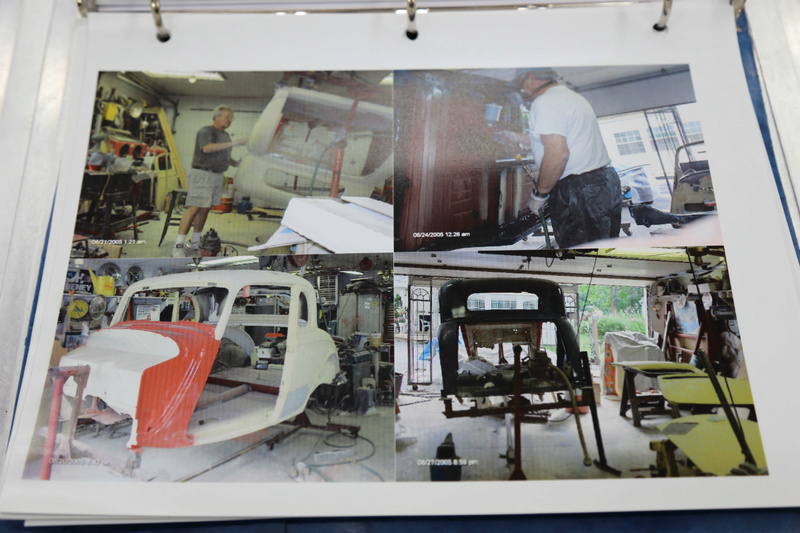 The truck received a complete frame-off rebuild this past winter and is ready for the road or the show circuit. 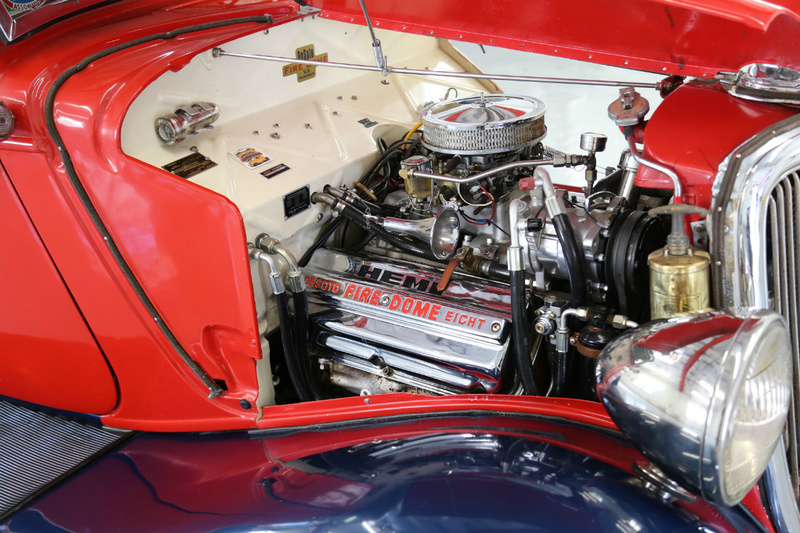 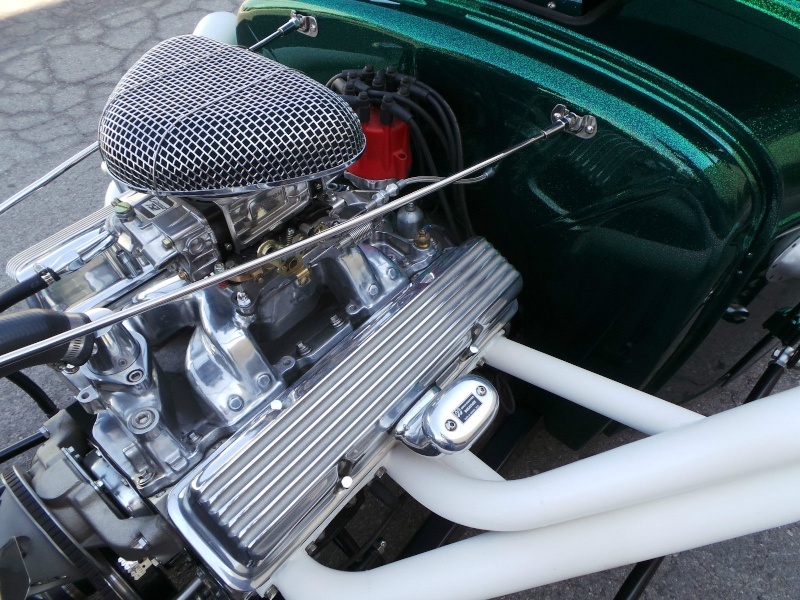 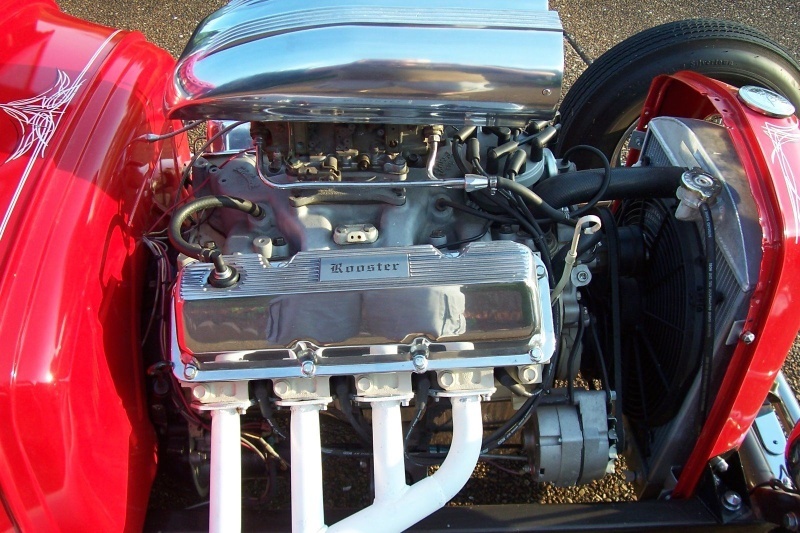 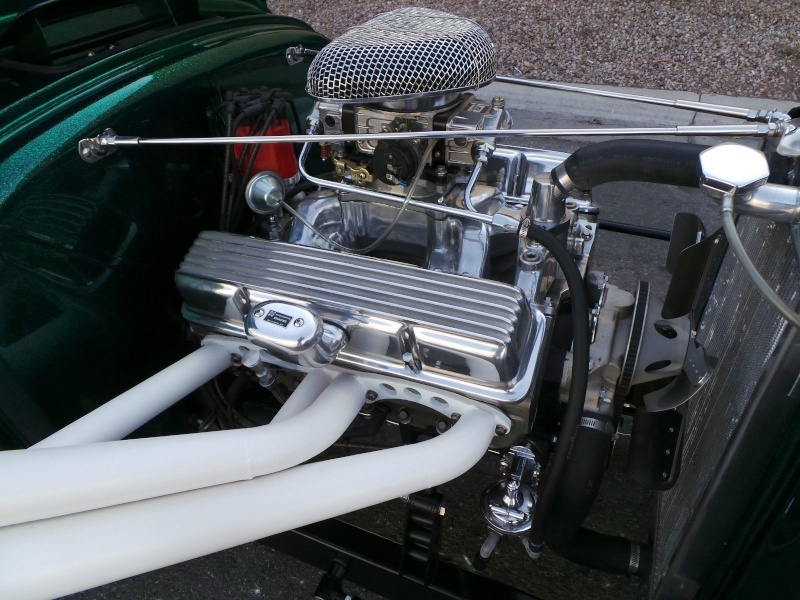 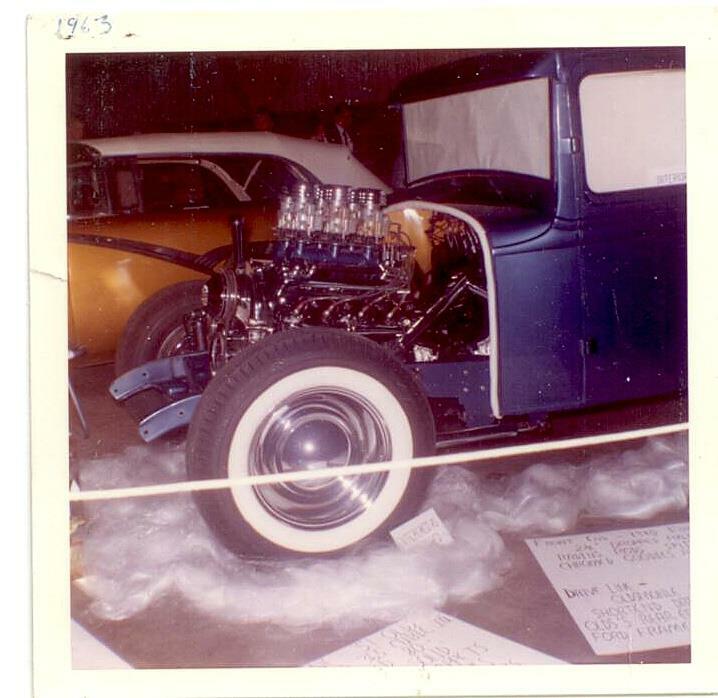 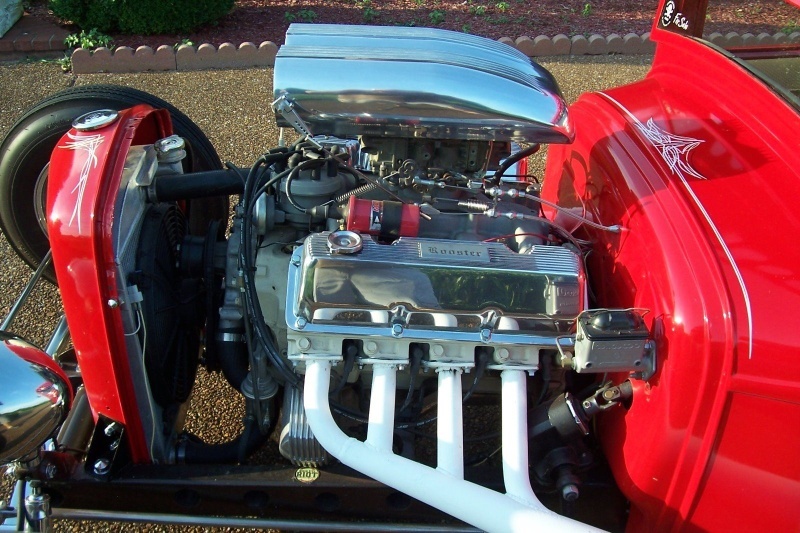 It is powered by a freshly rebuilt 1950 331 Cadillac engine with a performance cam shaft, 3 Stromberg carbs on a Weiand intake and custom made headers. 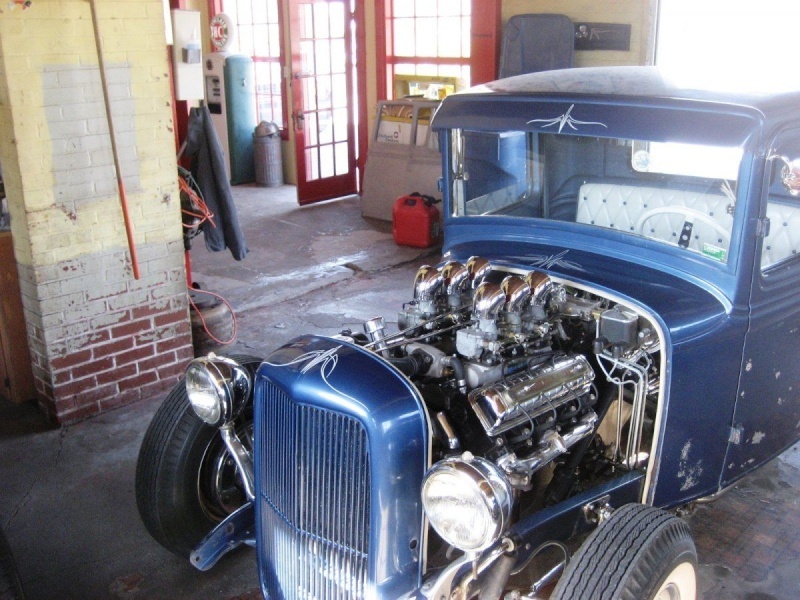 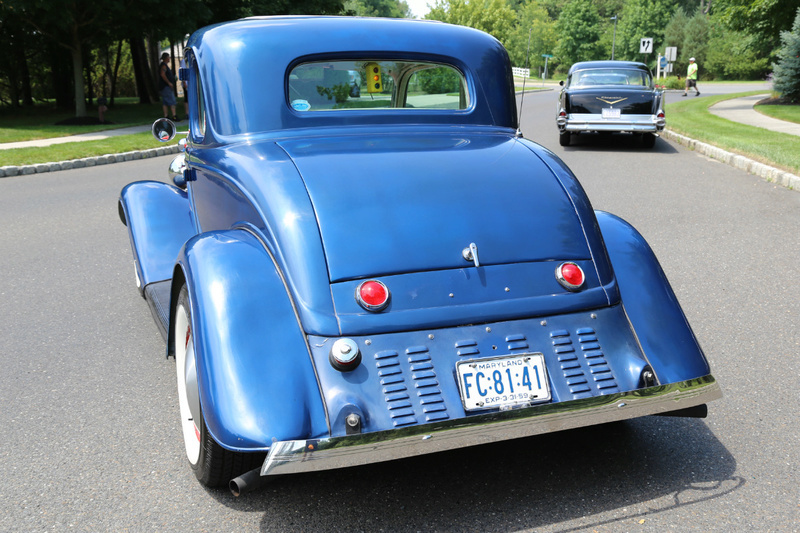 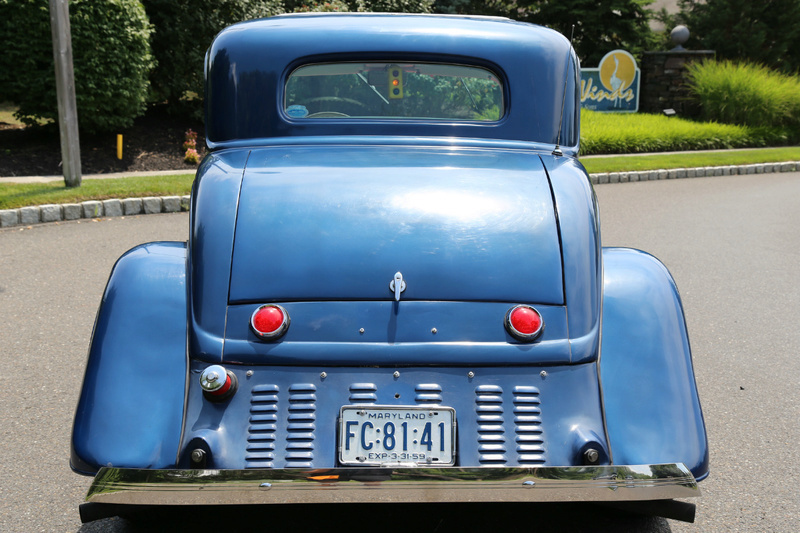 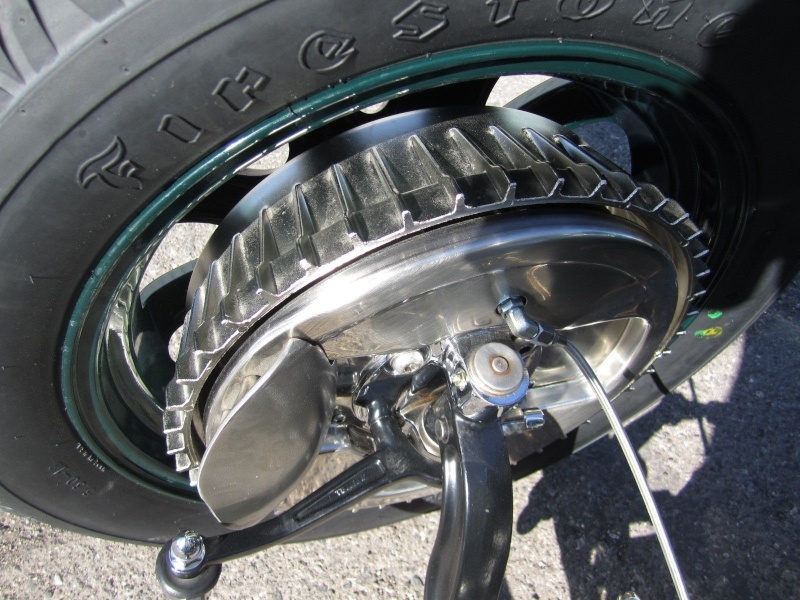 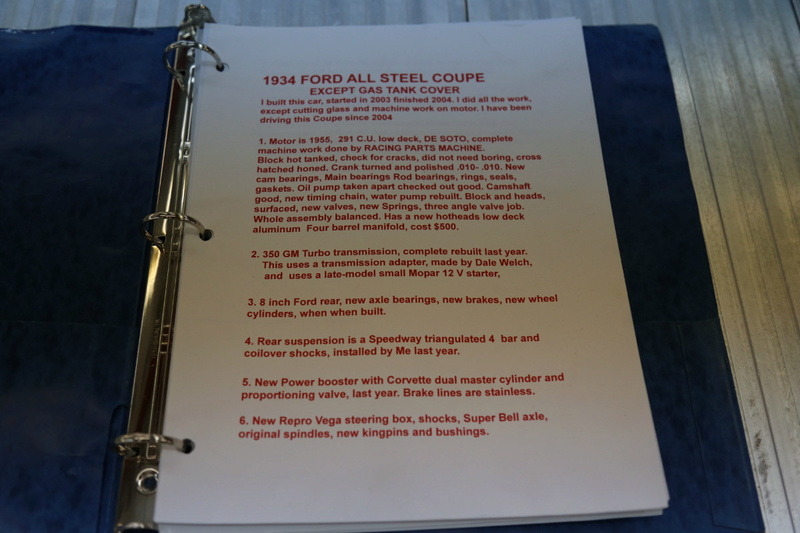 The transmission is a 1939 ford 3 speed and the rear end is a 1940 Ford. 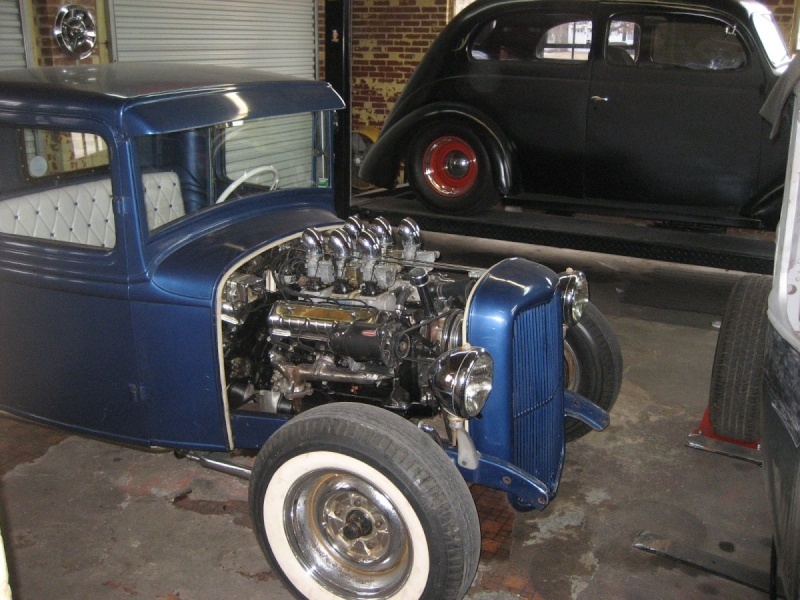 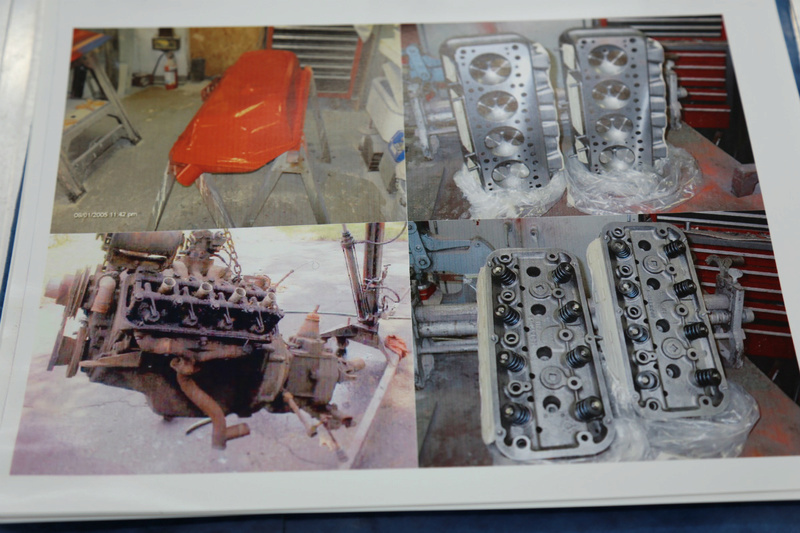 Both have been recently rebuilt. 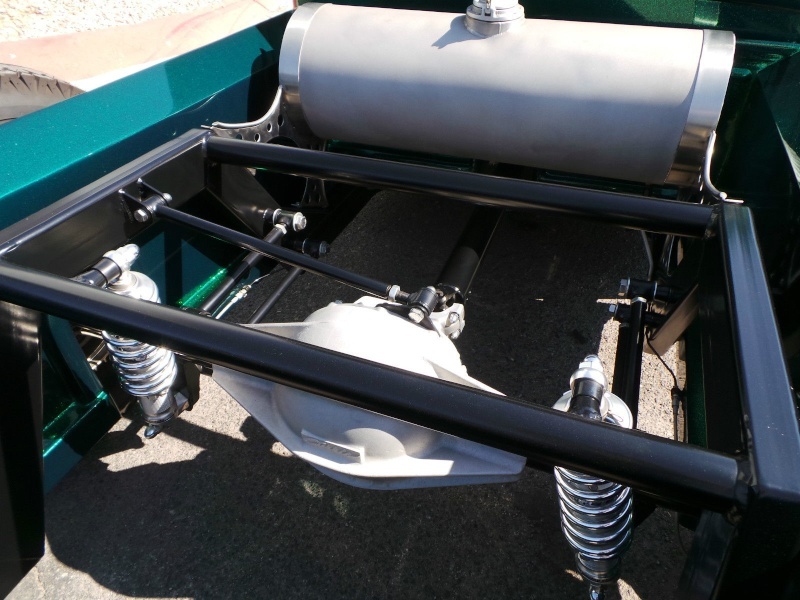 The brakes, suspension and wiring are all fresh as well. 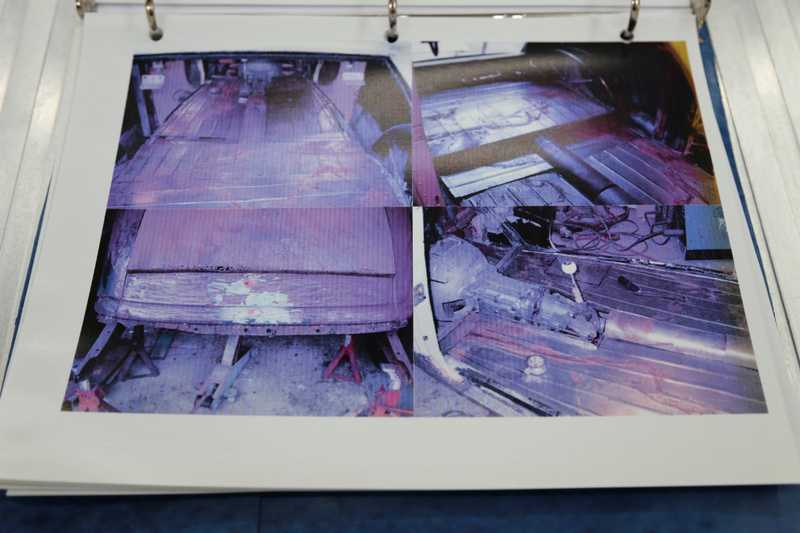 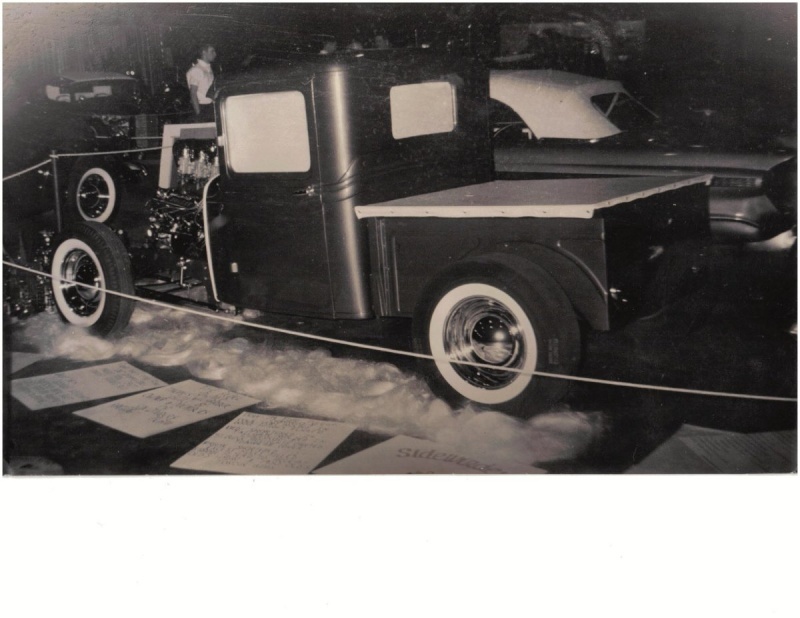 The all-steel body of the truck was quite solid and straight. 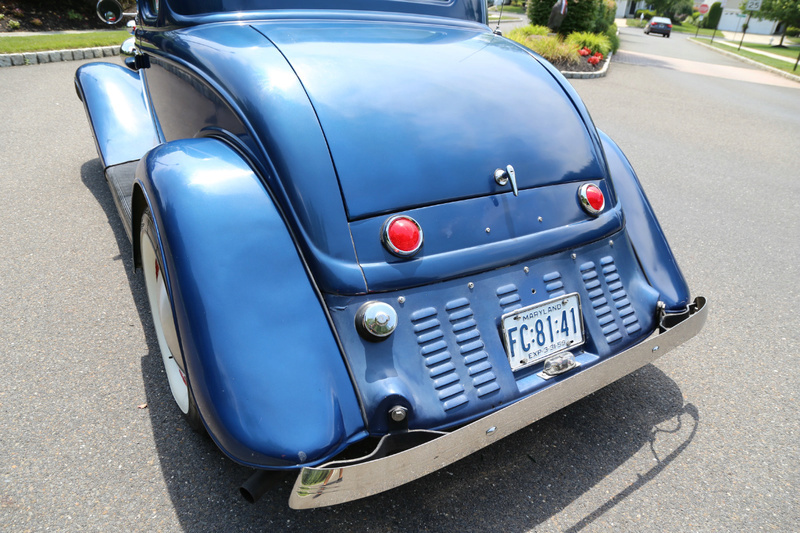 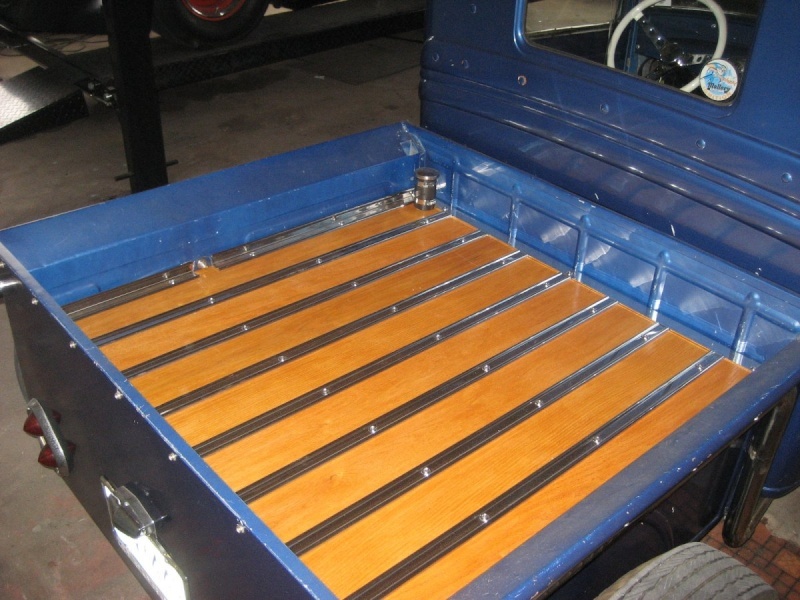 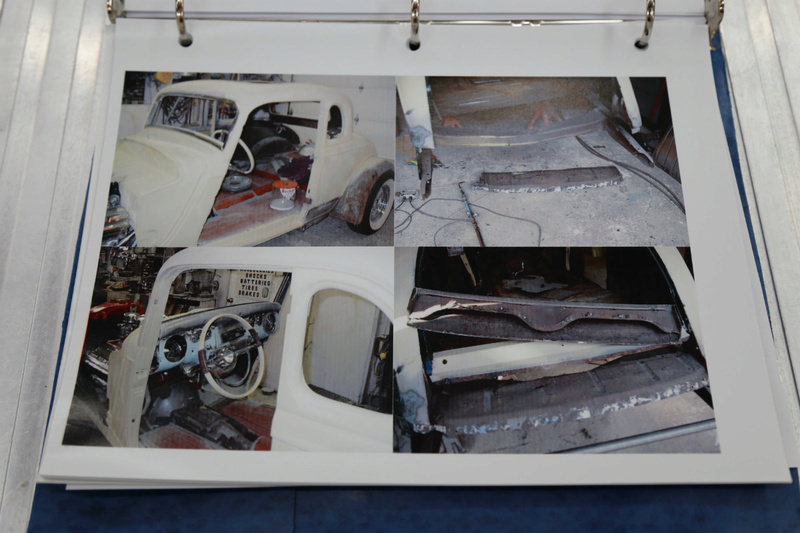 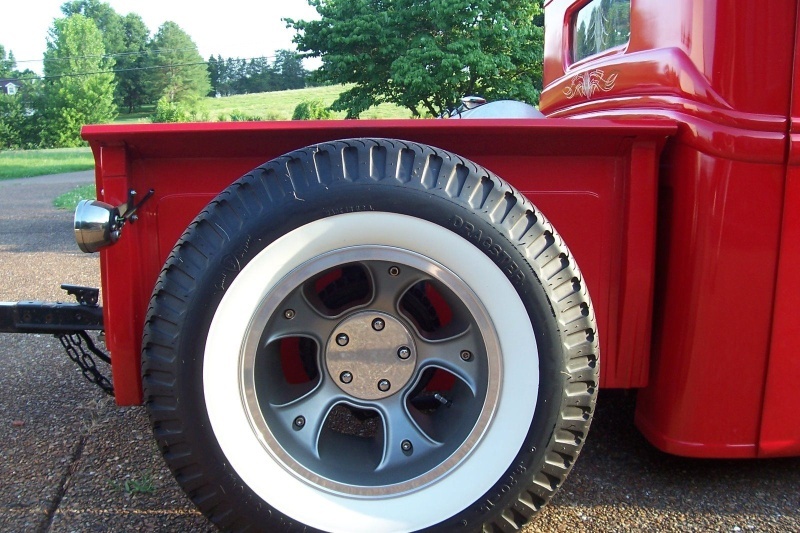 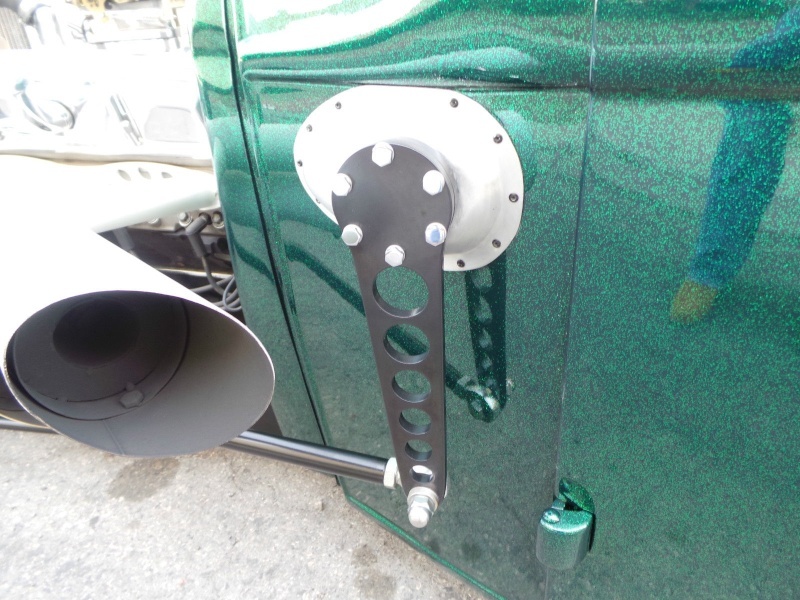 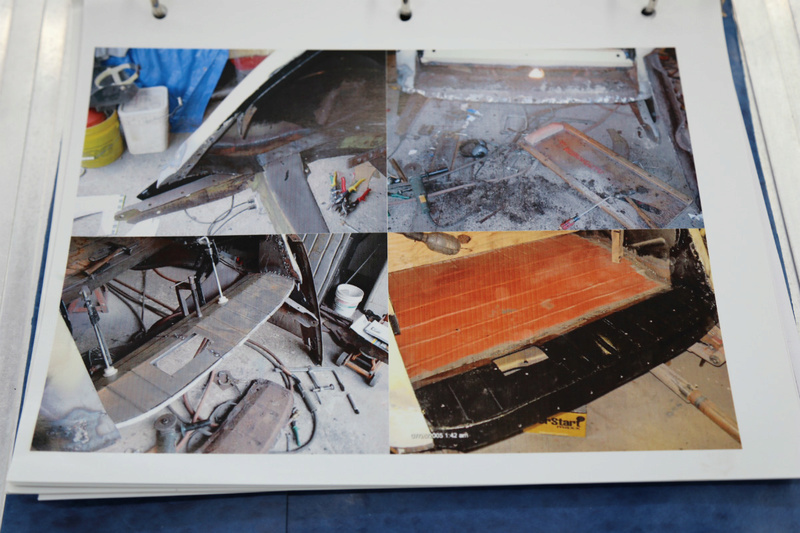 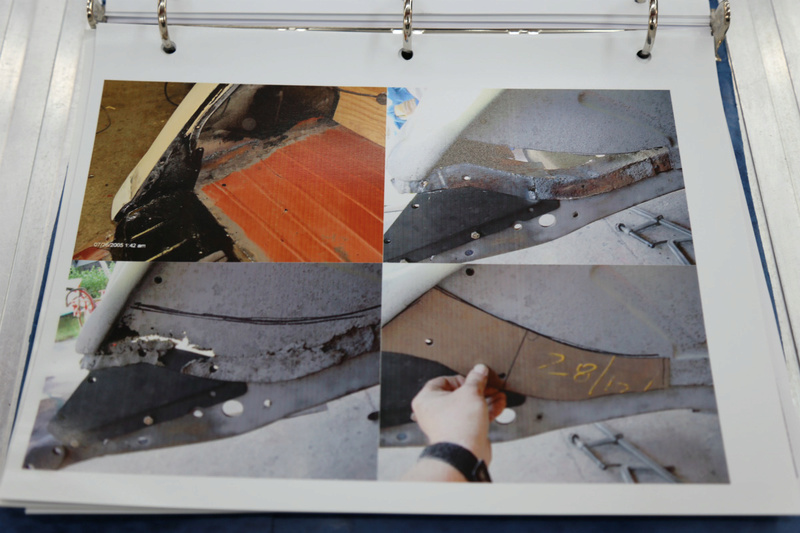 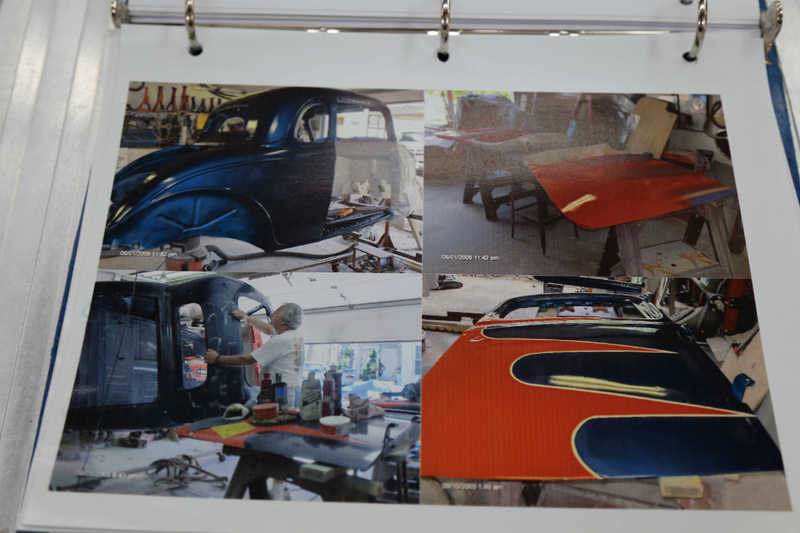 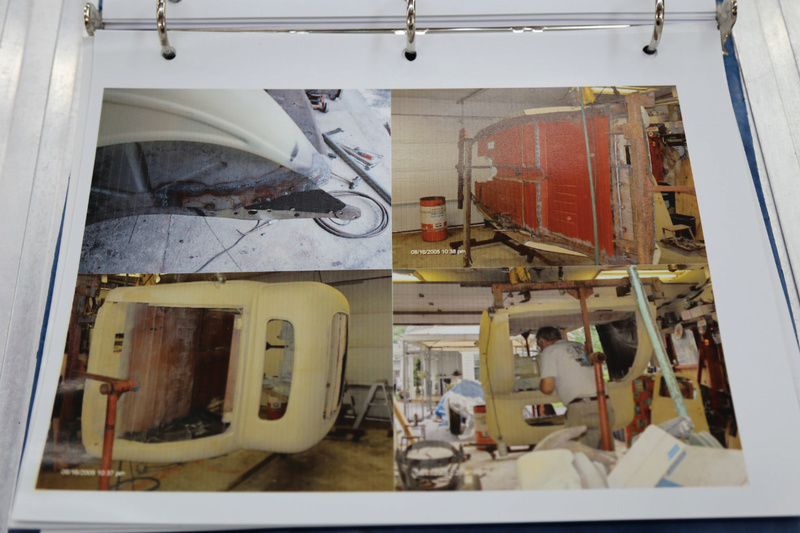 The fenders and running boards are all original steel also. 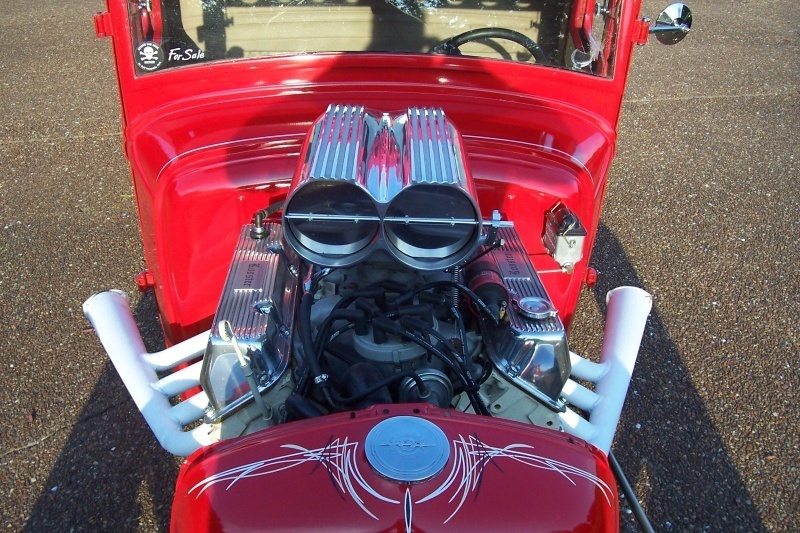 The top was chopped 5 inches and was leaded in. 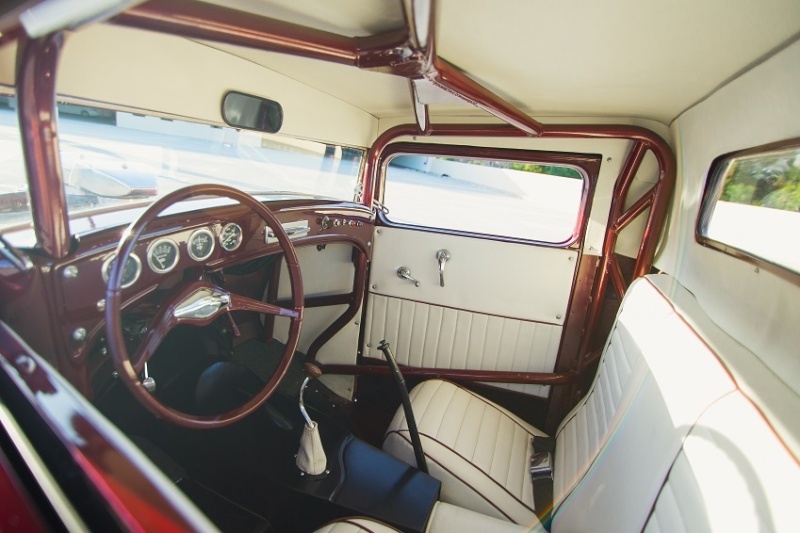 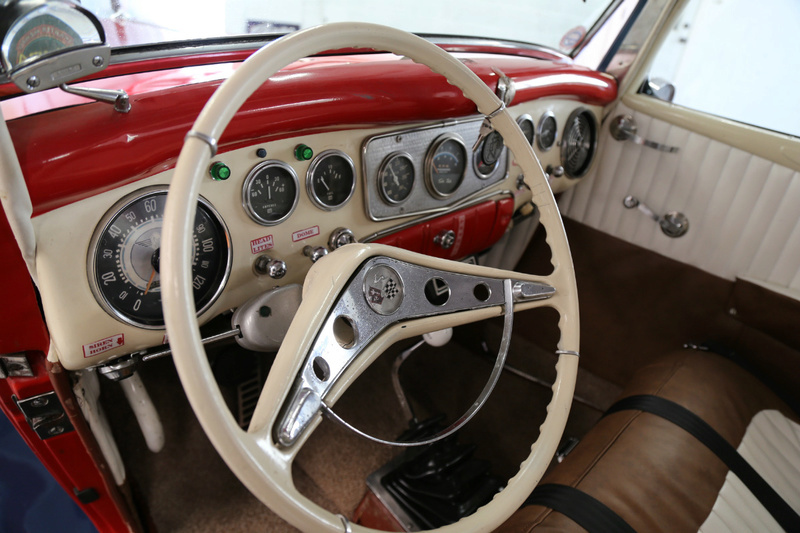 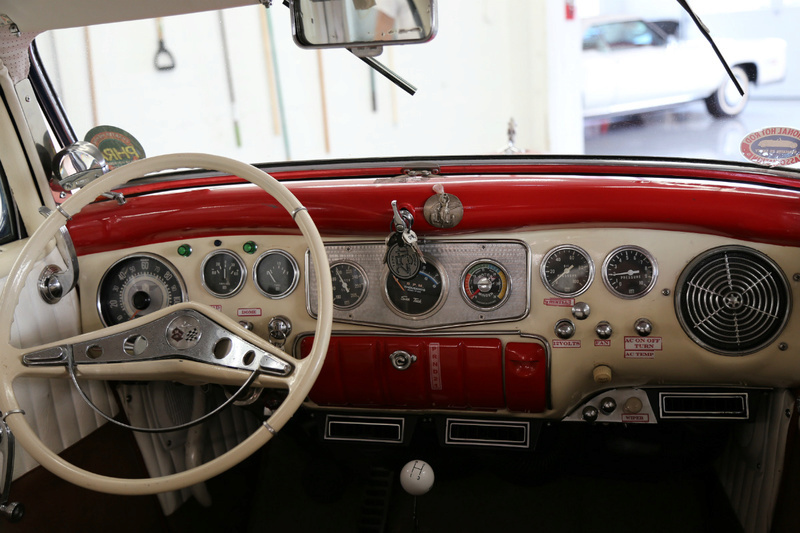 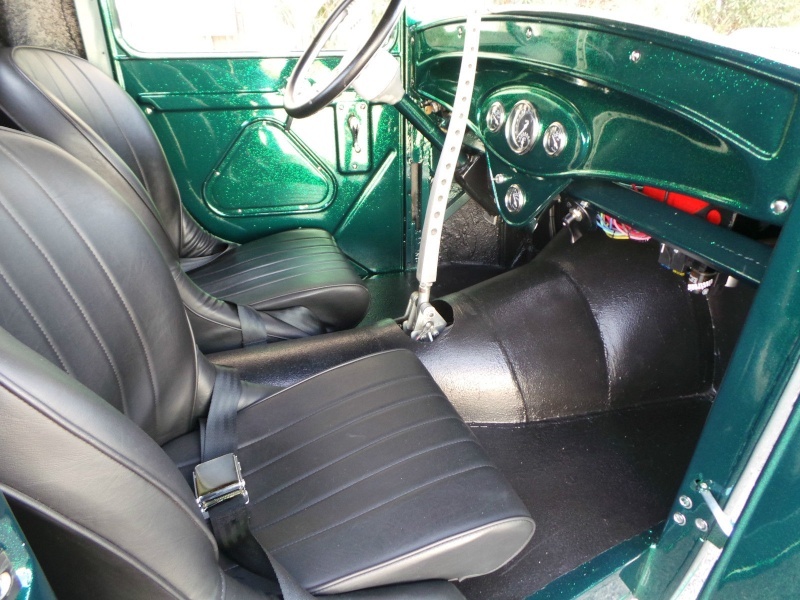 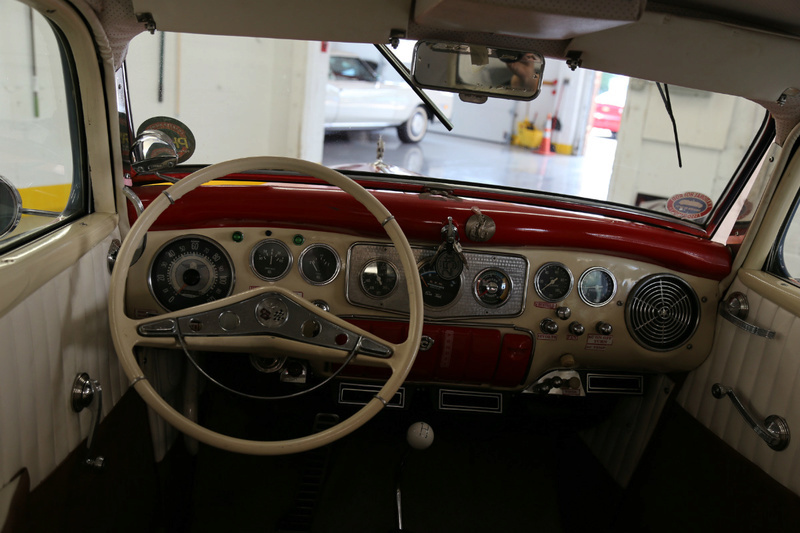 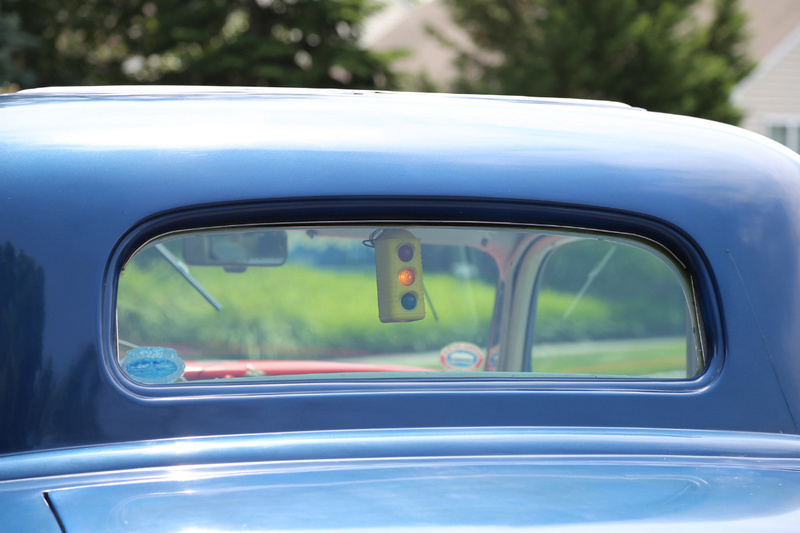 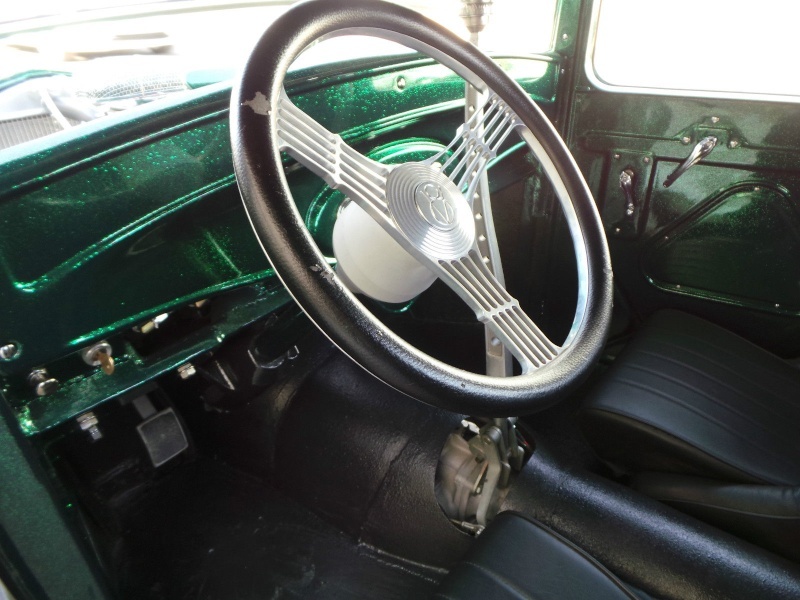 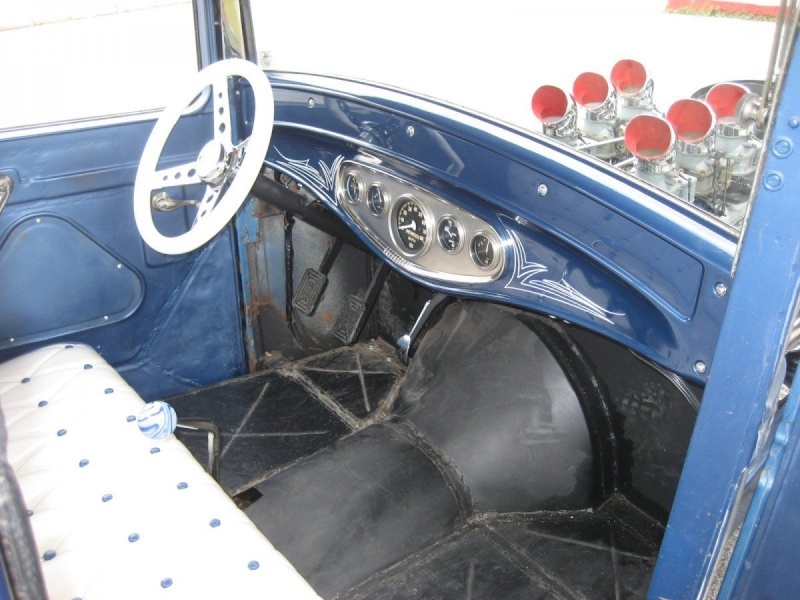 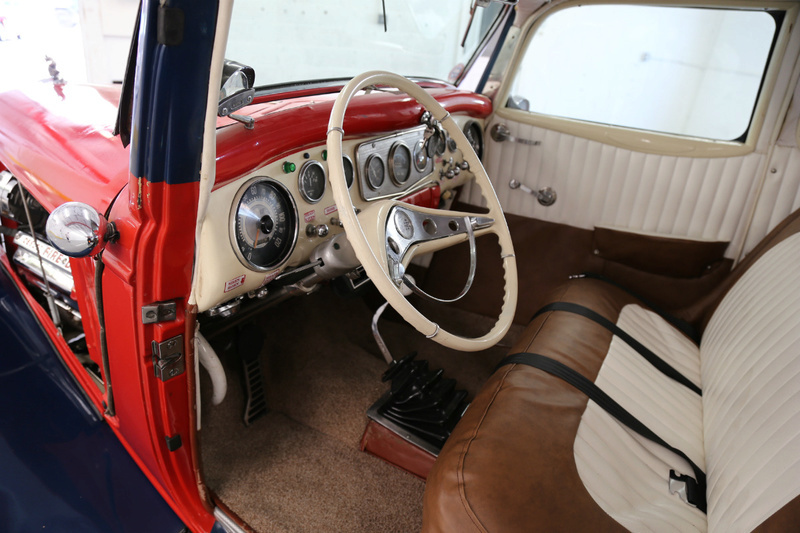 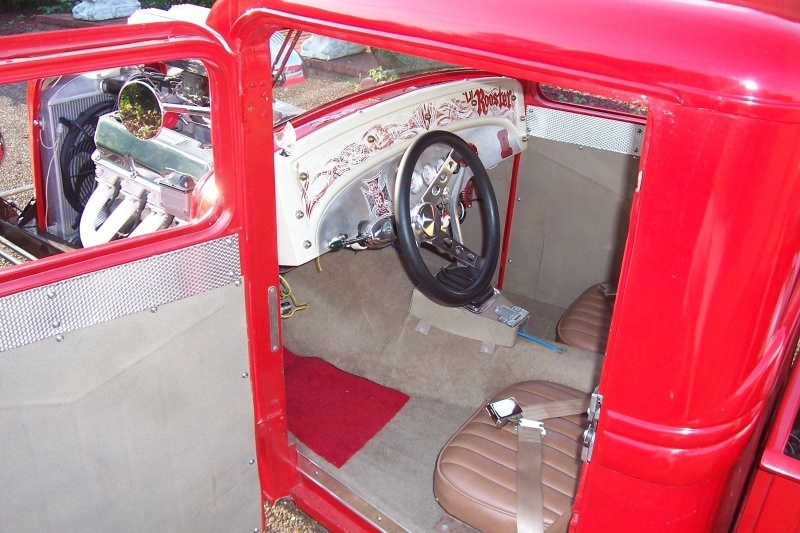 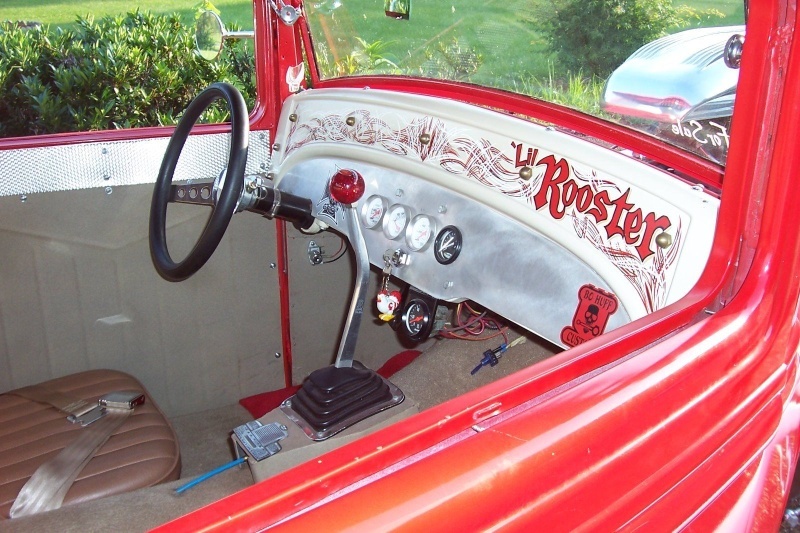 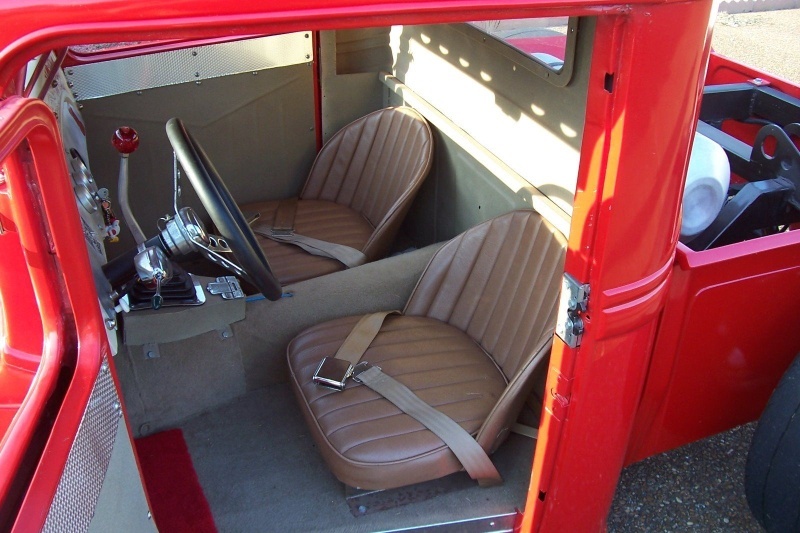 The dash of the truck is a 1949 Mercury dashboard that was modified to fit and was also leaded in. 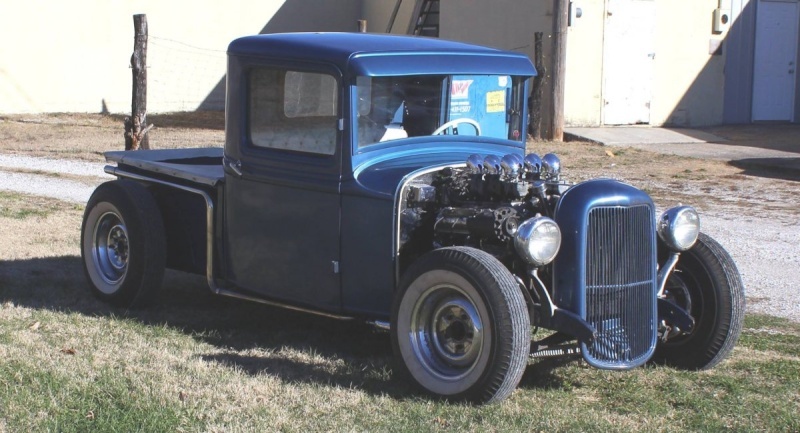 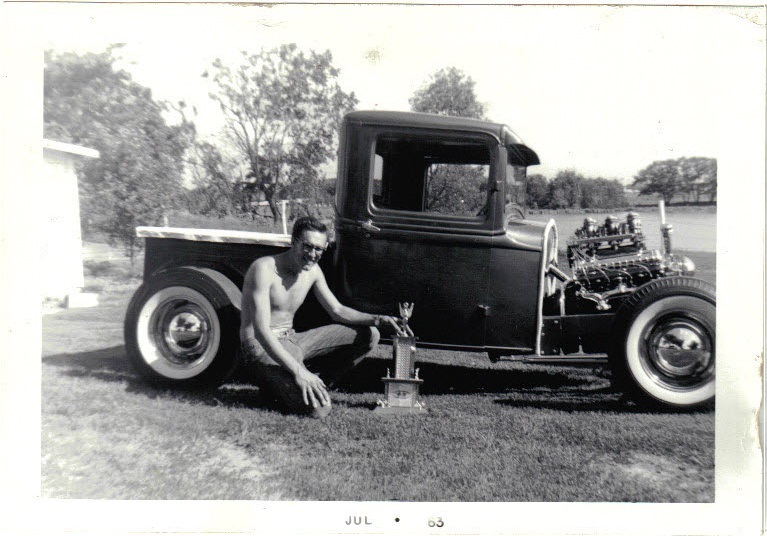 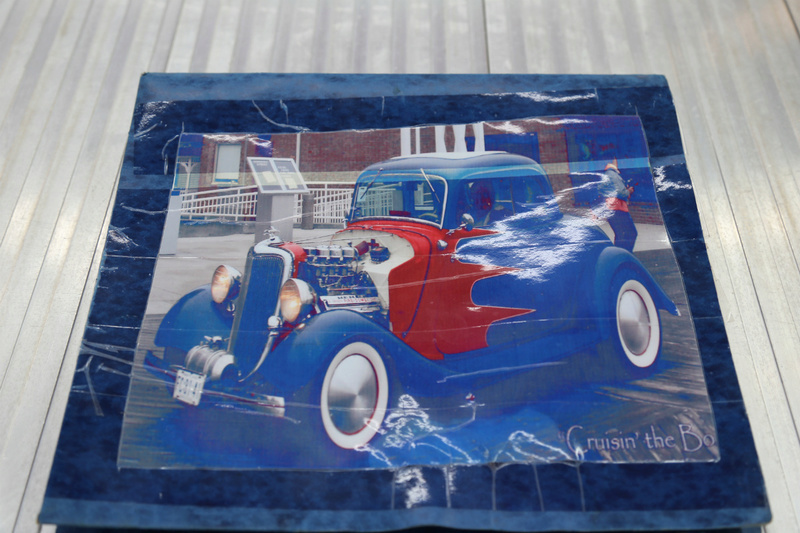 Given the lead work done during the modifications to the cab, and some old photos, it is apparent that this truck has been a hot rod since some time in the late 1950’s. 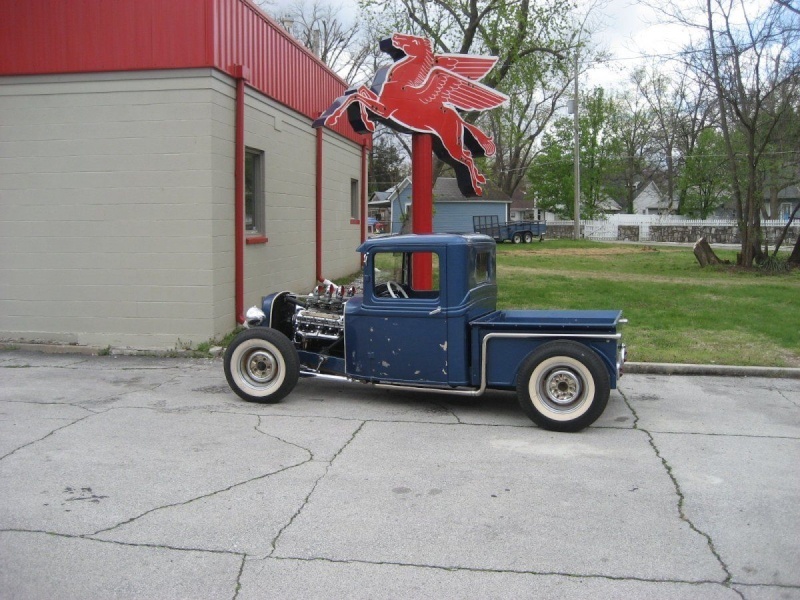 In the short time since the truck has been redone it has received tons of publicity. 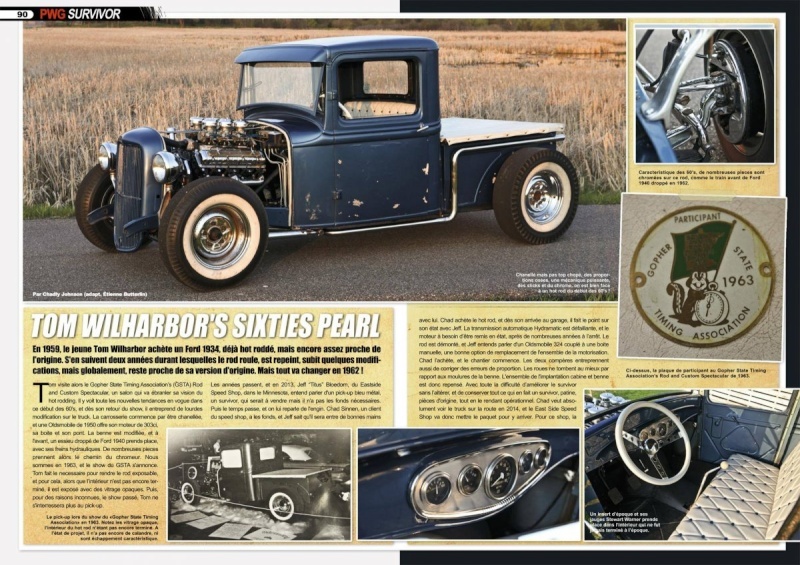 It was chosen as a Street Rodder Magazine “Top 100 car for 2015” and currently has a 10 page spread in the latest issue of HOP UP Magazine. 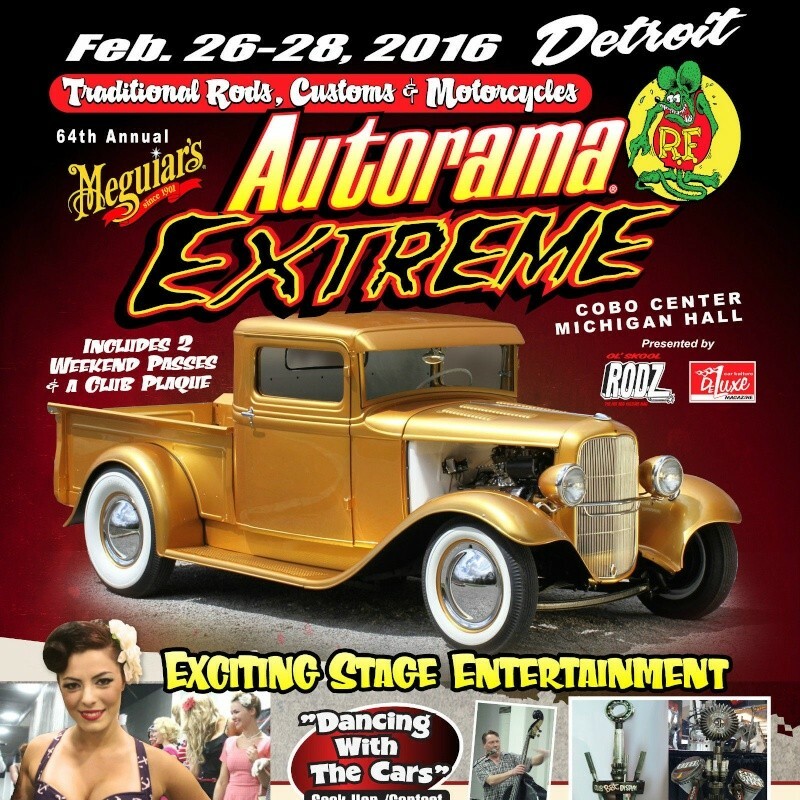 It was the Best Of Show winner at the 2015 Detroit Autorama Extreme as well as Billetproof Detroit 2015. 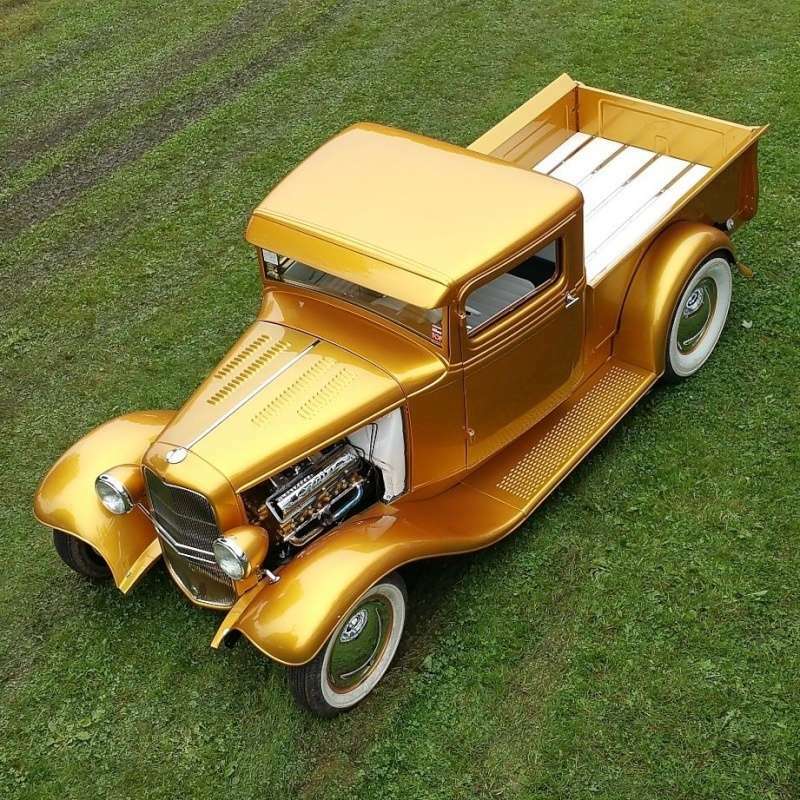 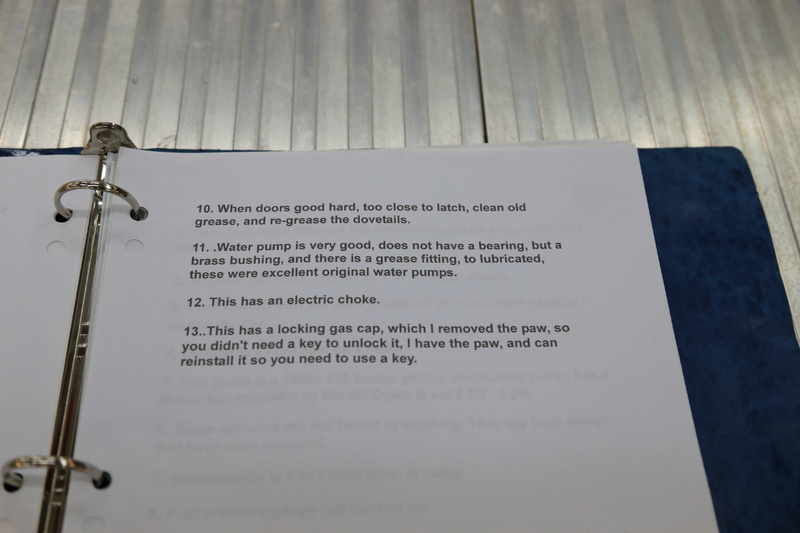 The truck has also received a large number of invitations to be featured at various indoor and outdoor shows throughout the country and Canada. 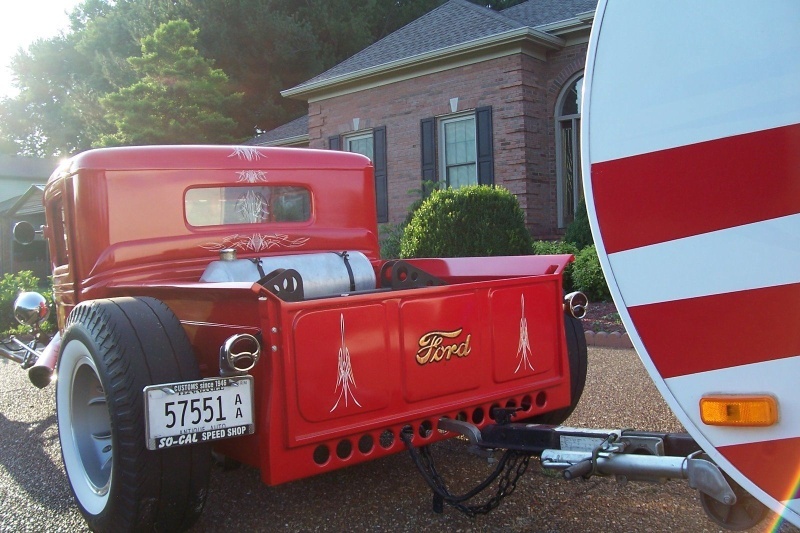 In the short time since the truck has been redone it has received tons of publicity. 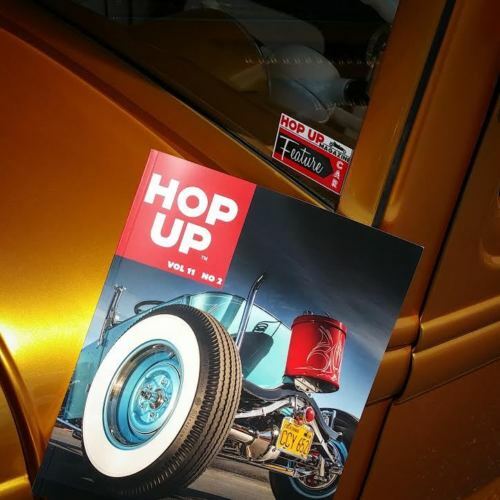 It was chosen as a Street Rodder Magazine “Top 100 car for 2015” and currently has a 10 page spread in the latest issue of HOP UP Magazine. 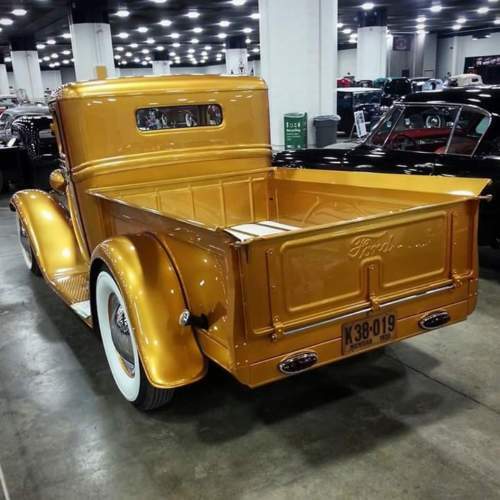 [/b] [b]It was the Best Of Show winner at the 2015 Detroit Autorama Extreme as well as Billetproof Detroit 2015. 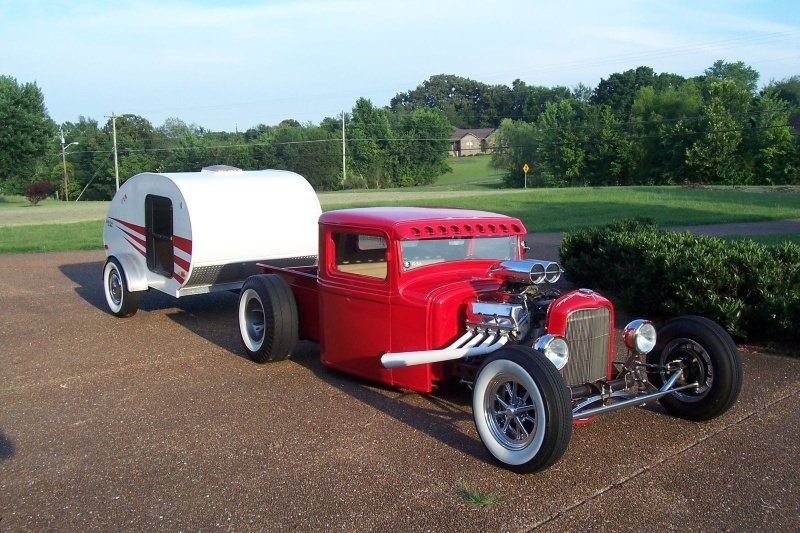 The truck has also received a large number of invitations to be featured at various indoor and outdoor shows throughout the country and Canada. 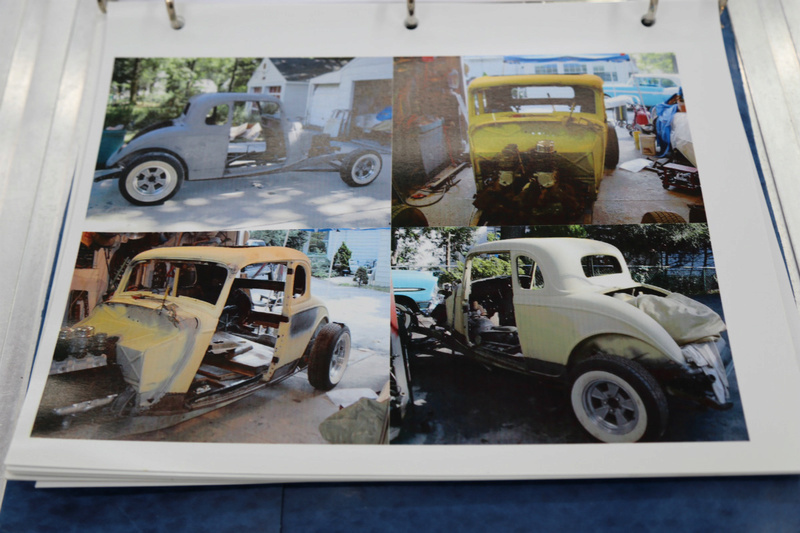 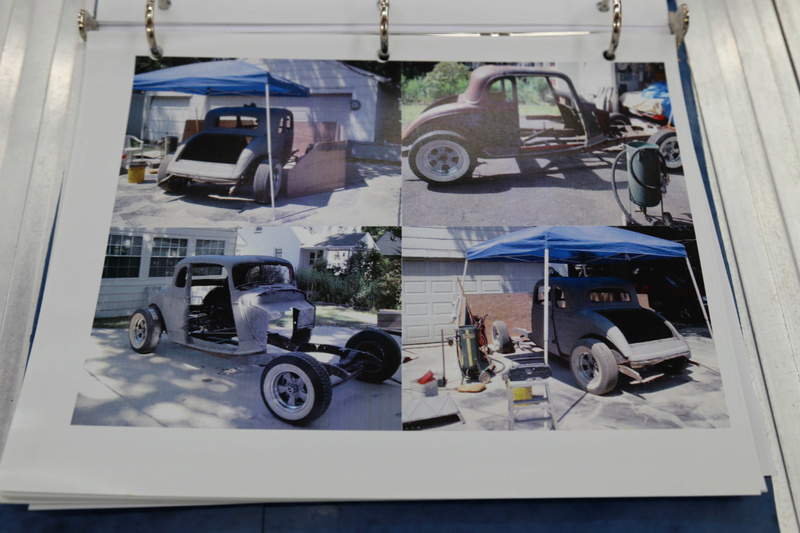 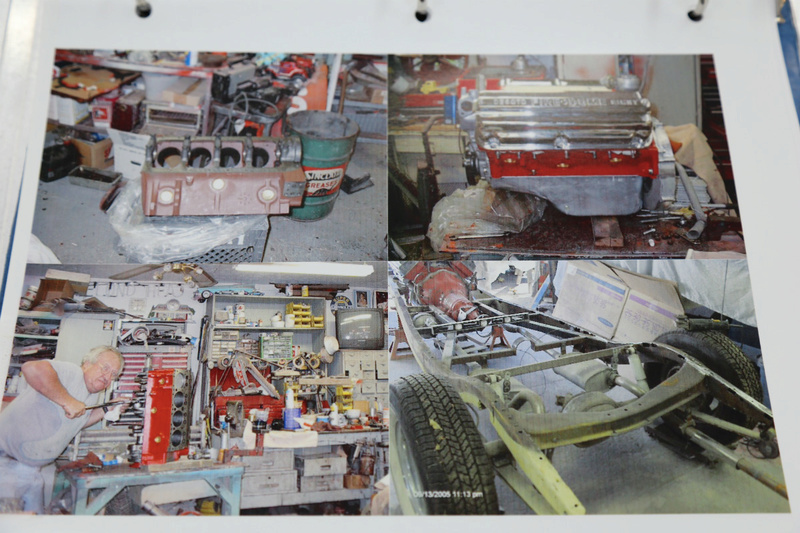 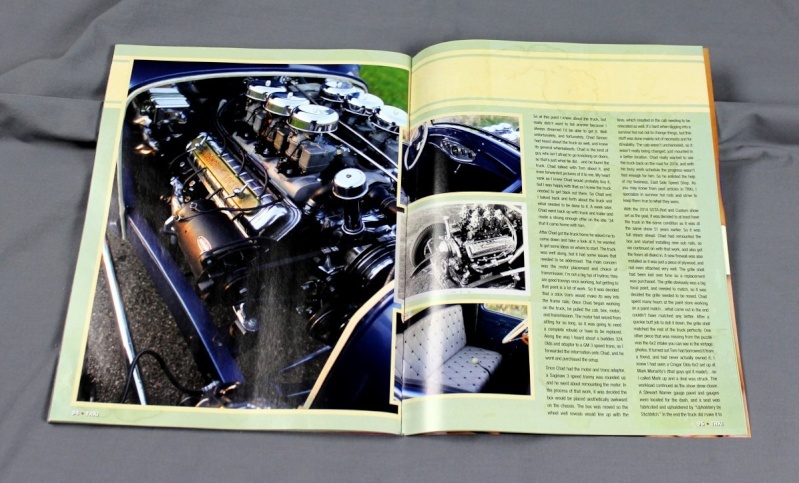 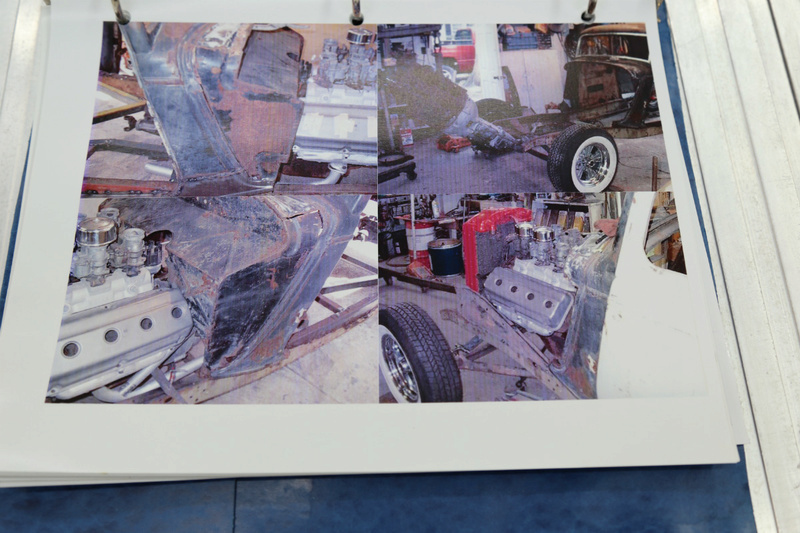 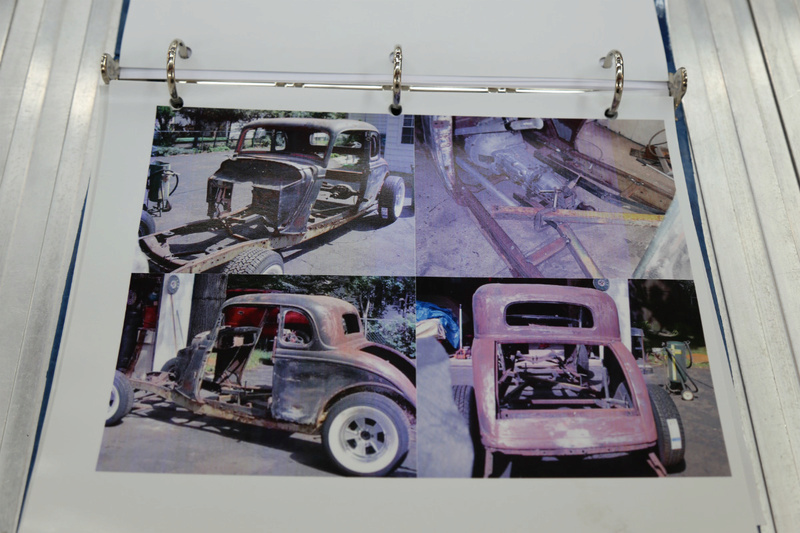 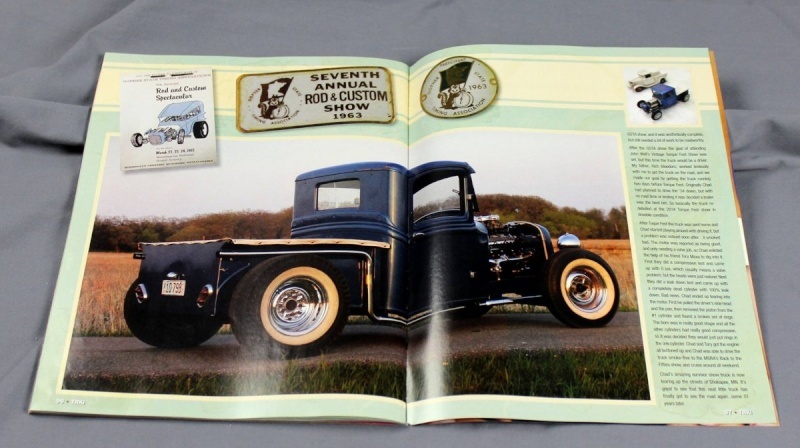 The truck has been in Traditional Rod and Kulture magazine.